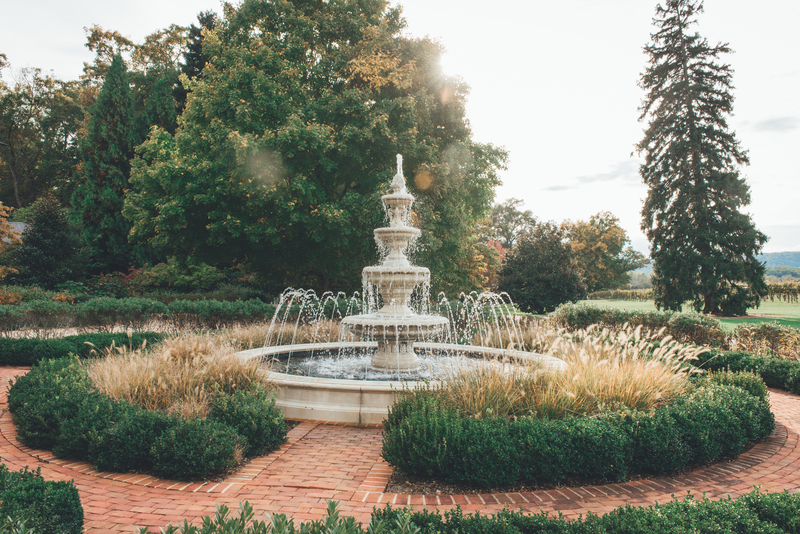 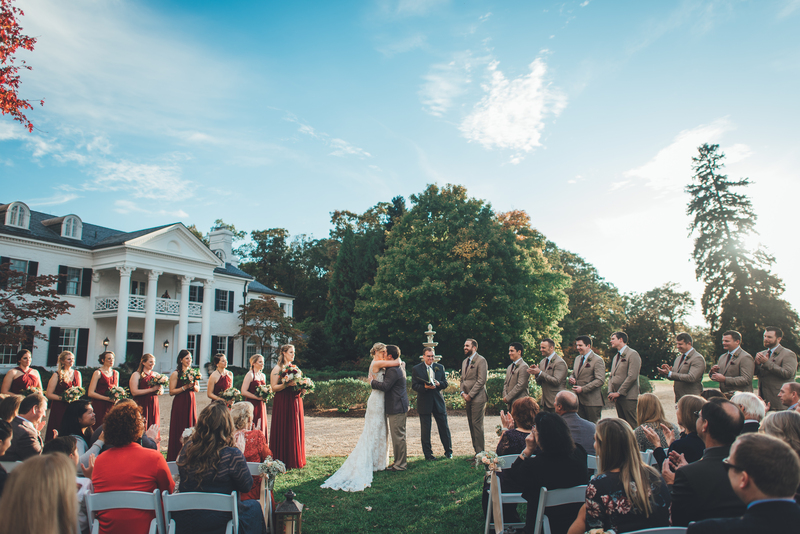 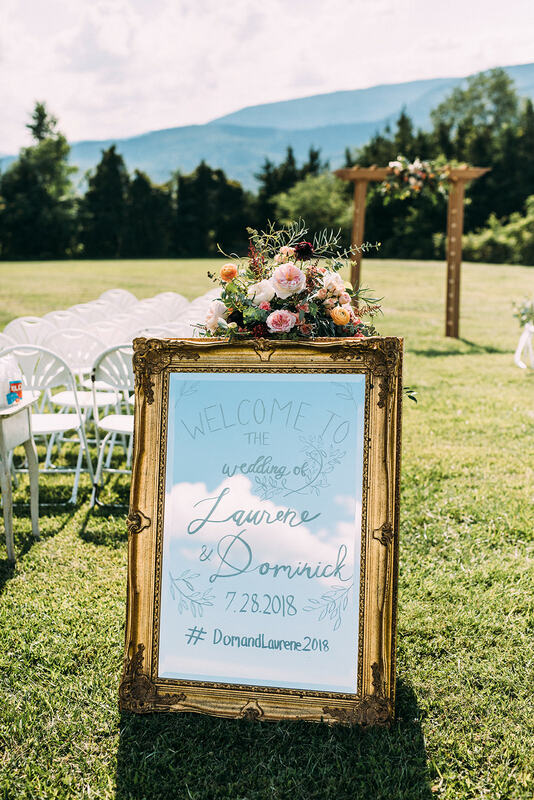 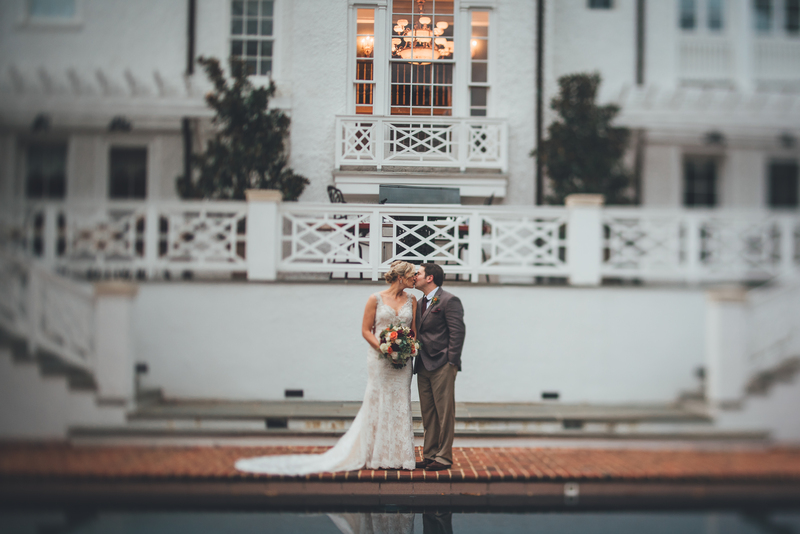 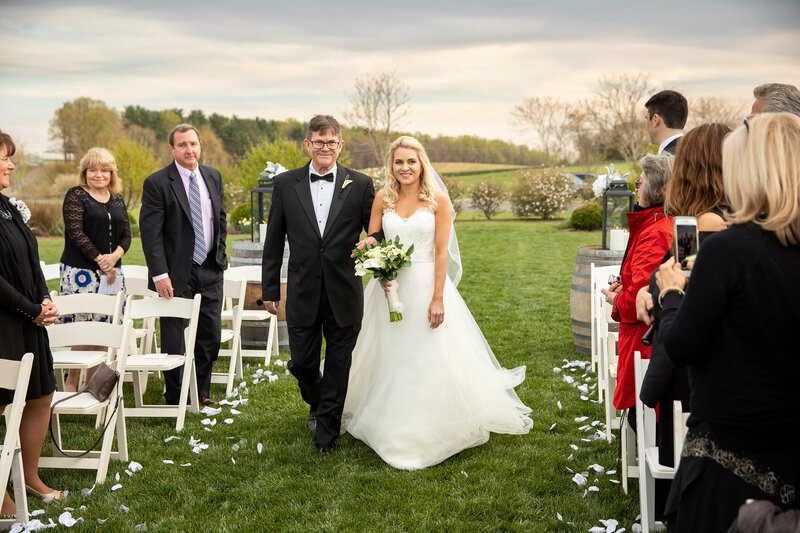 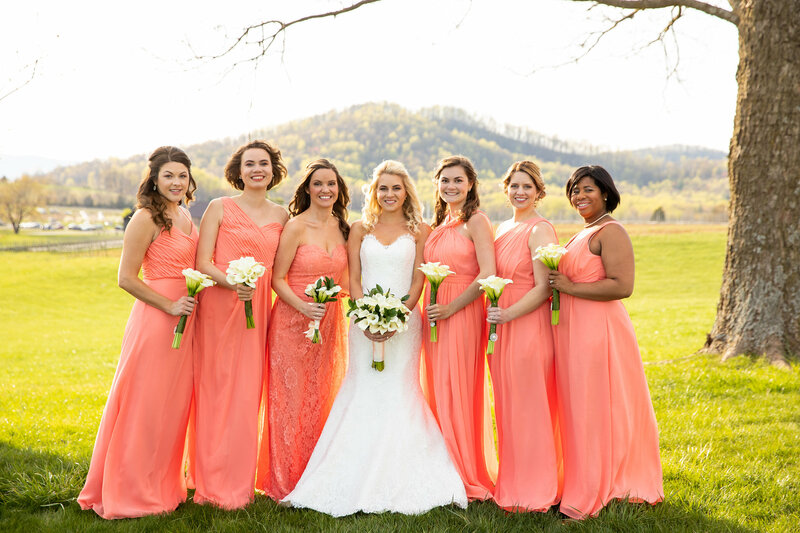 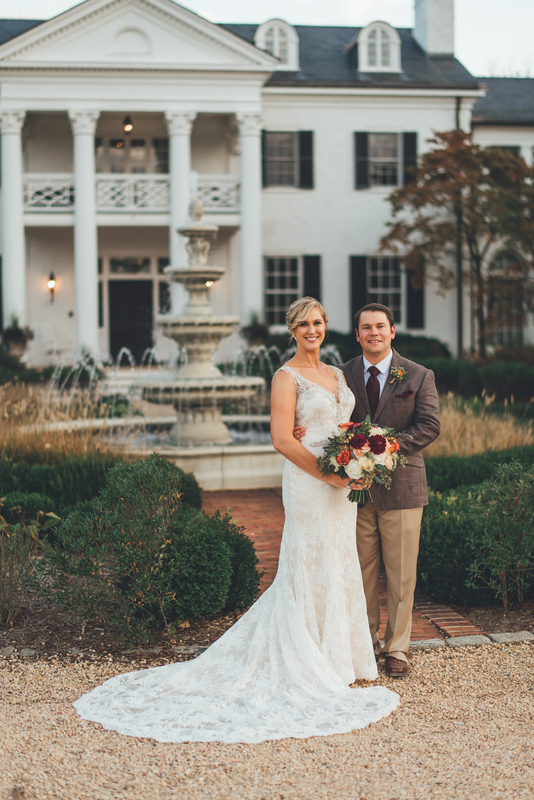 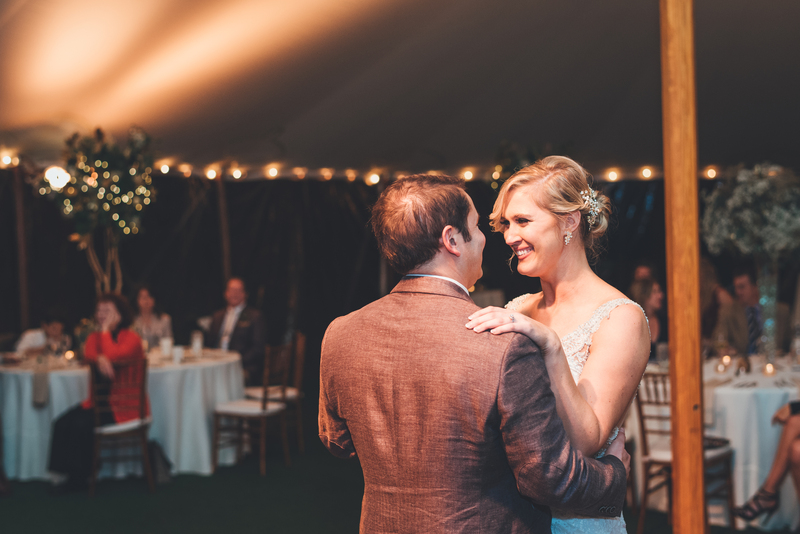 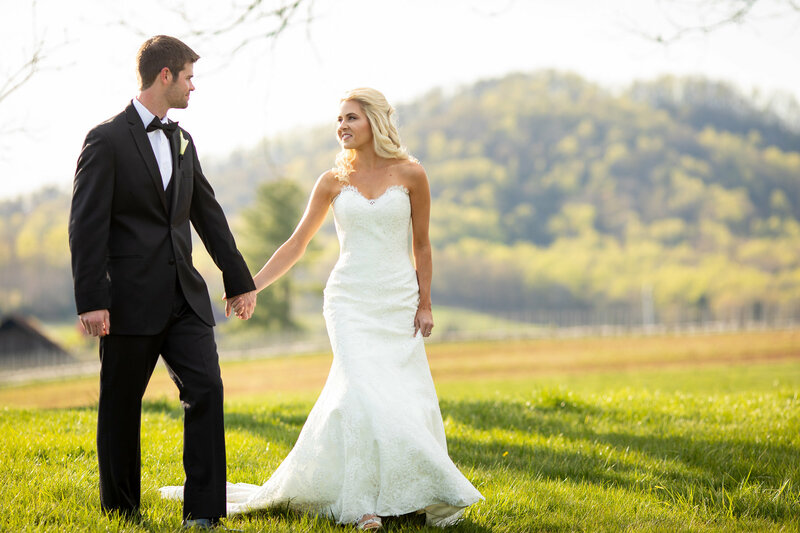 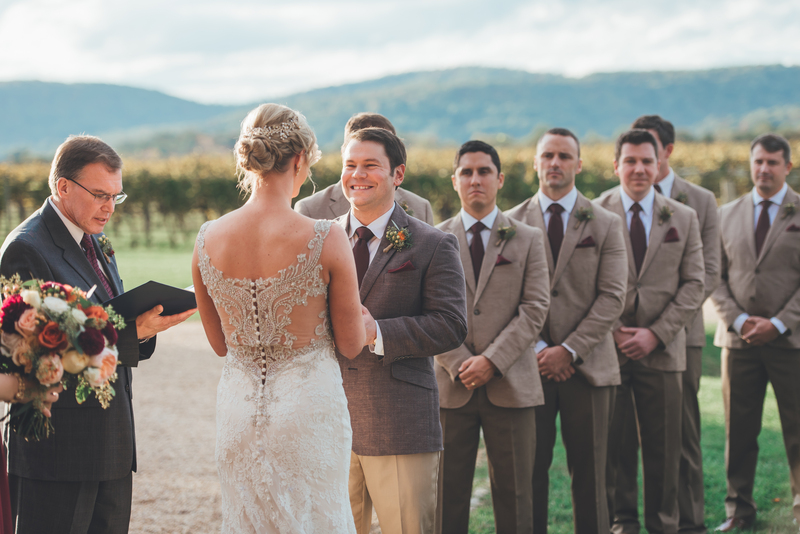 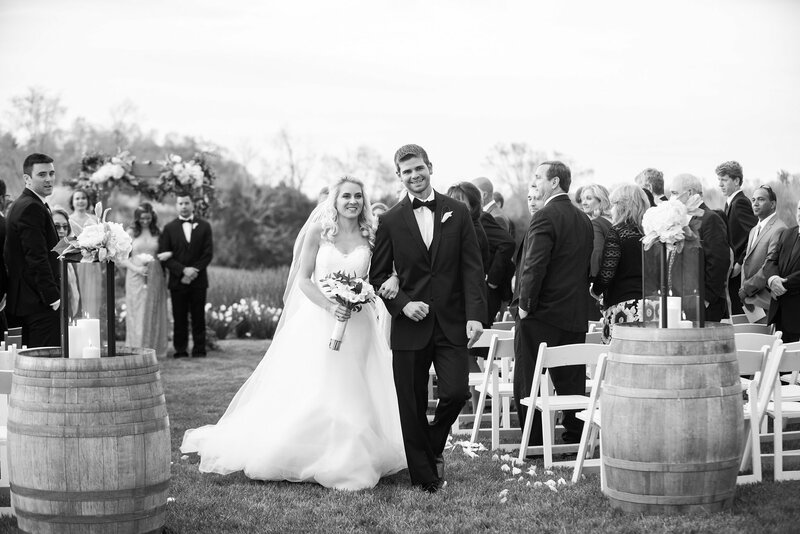 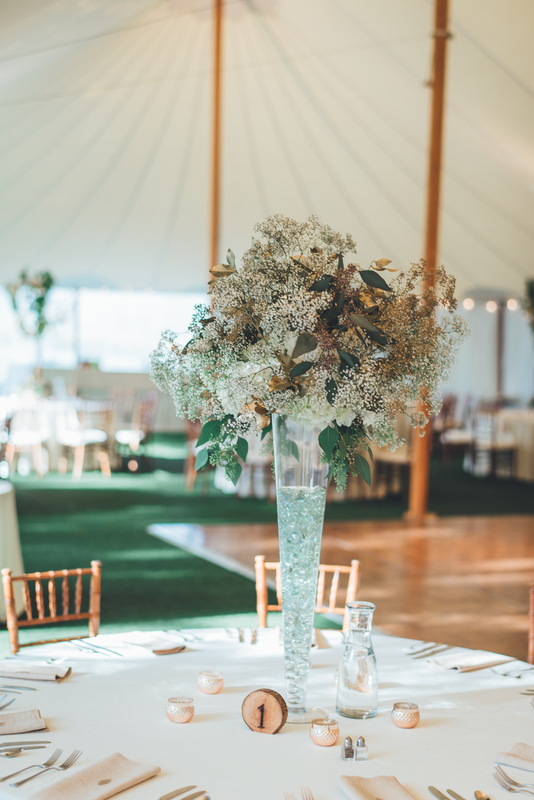 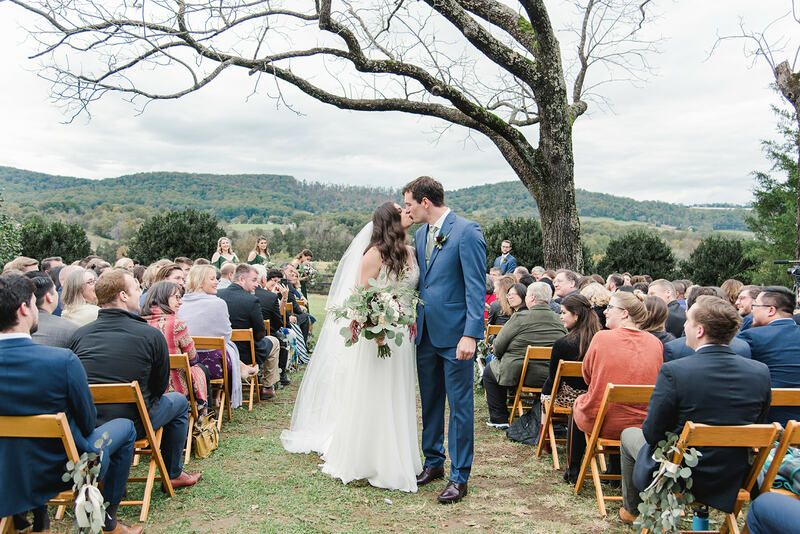 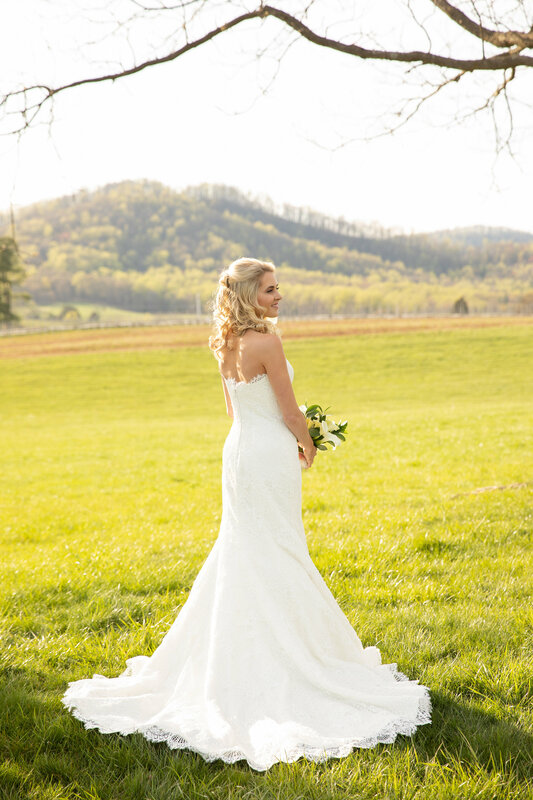 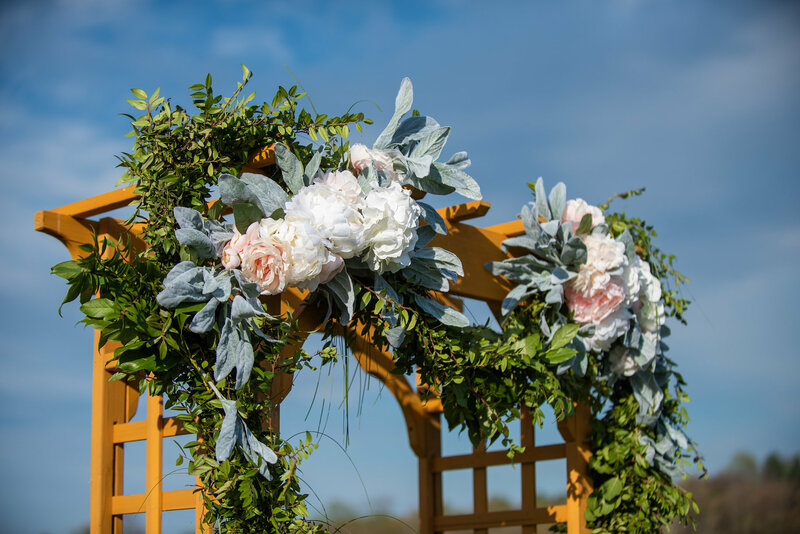 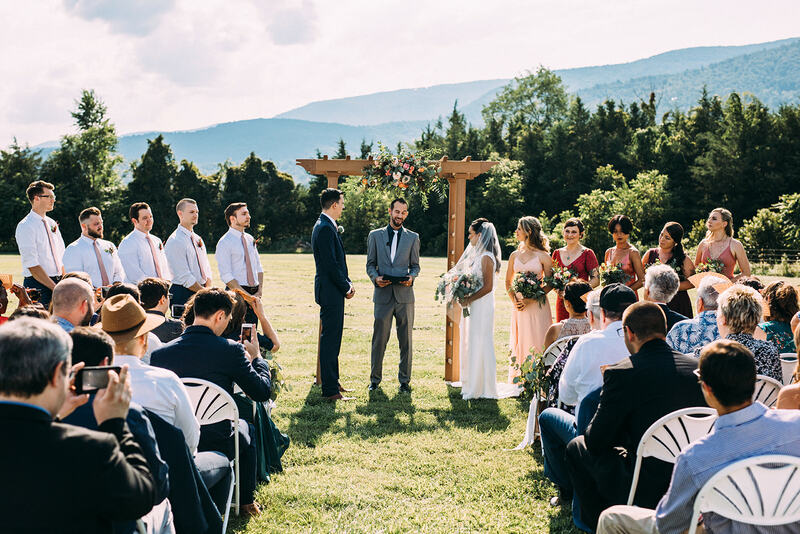 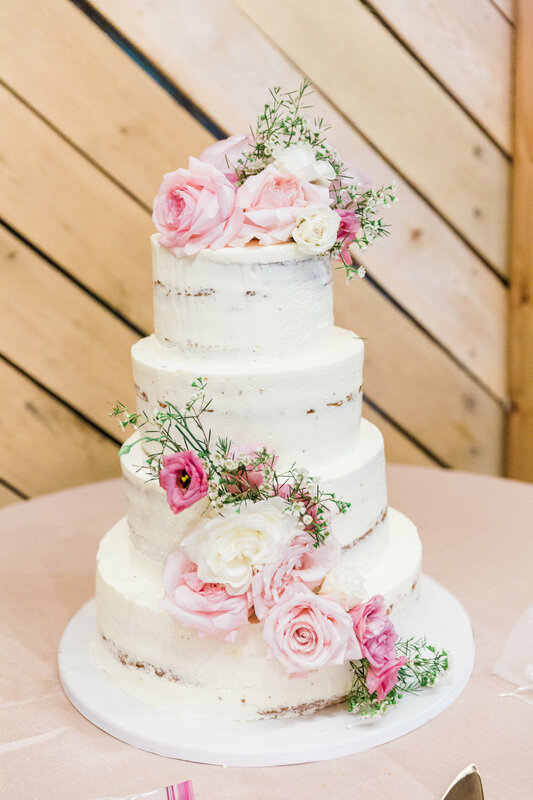 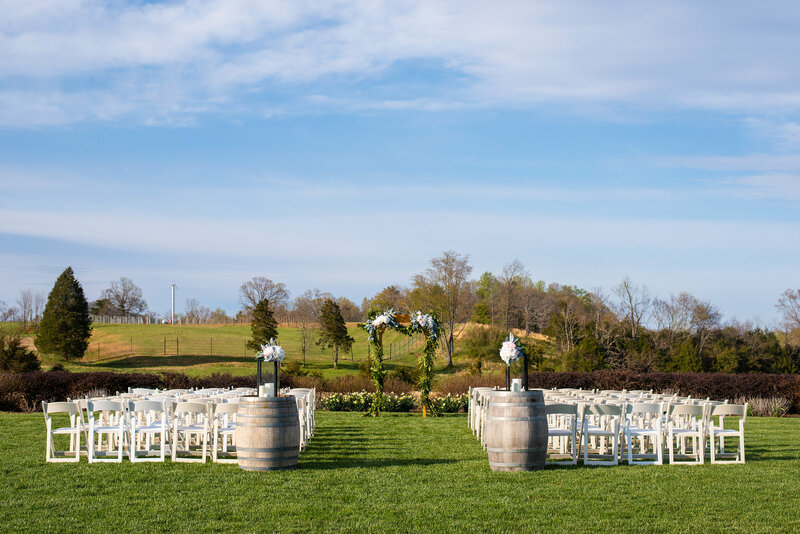 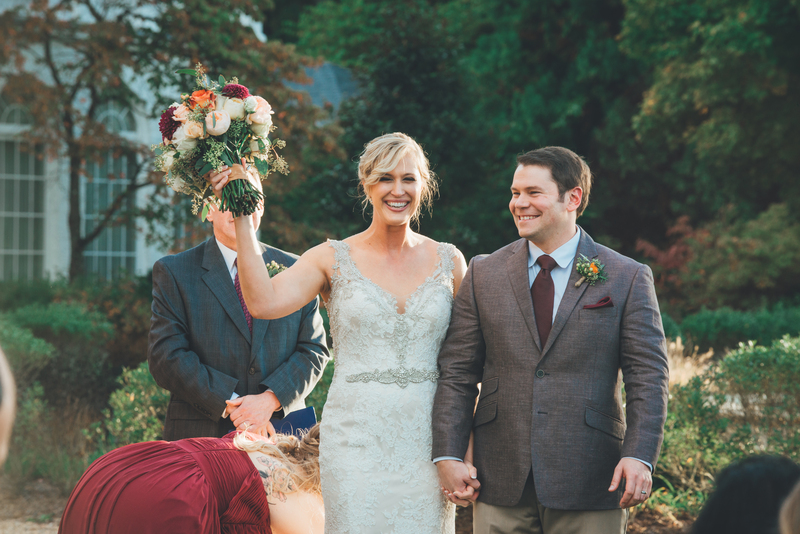 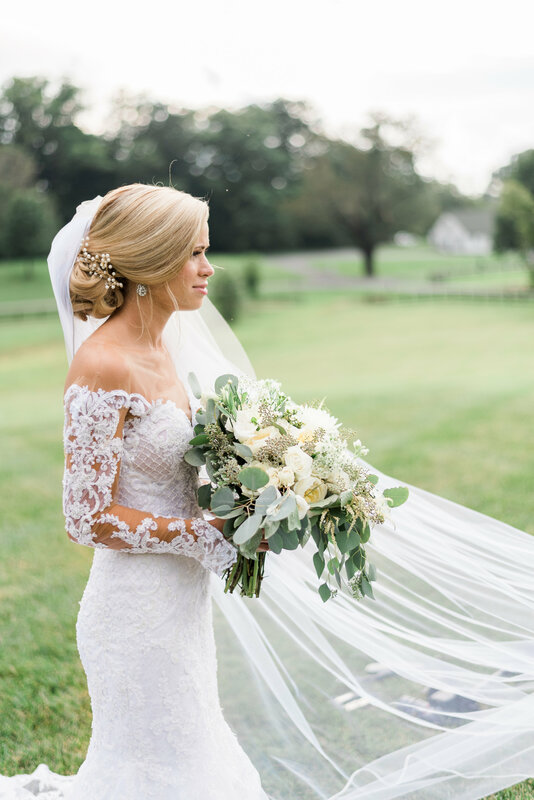 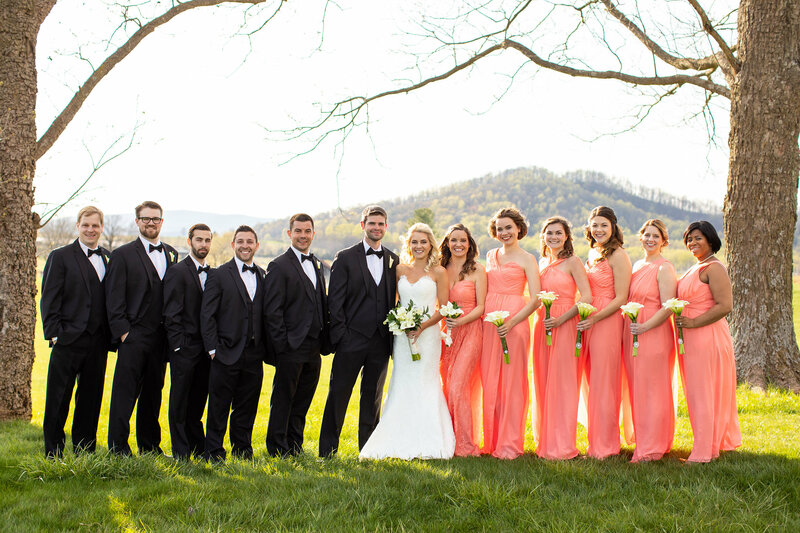 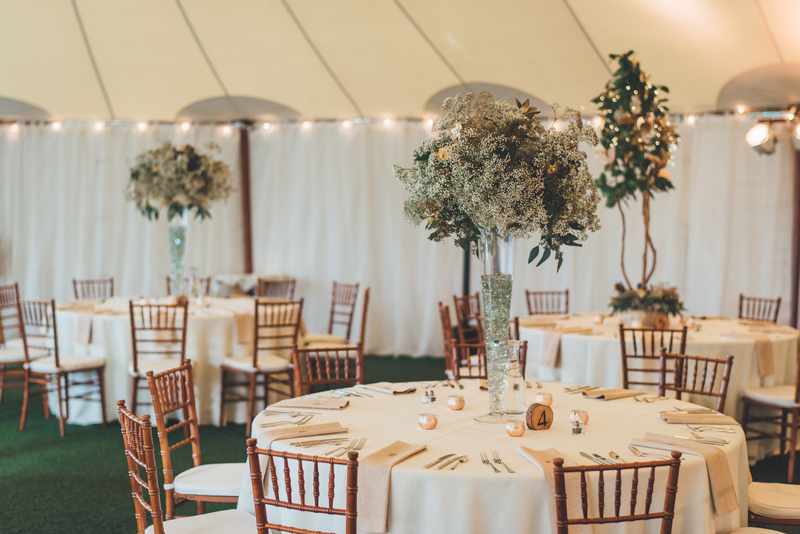 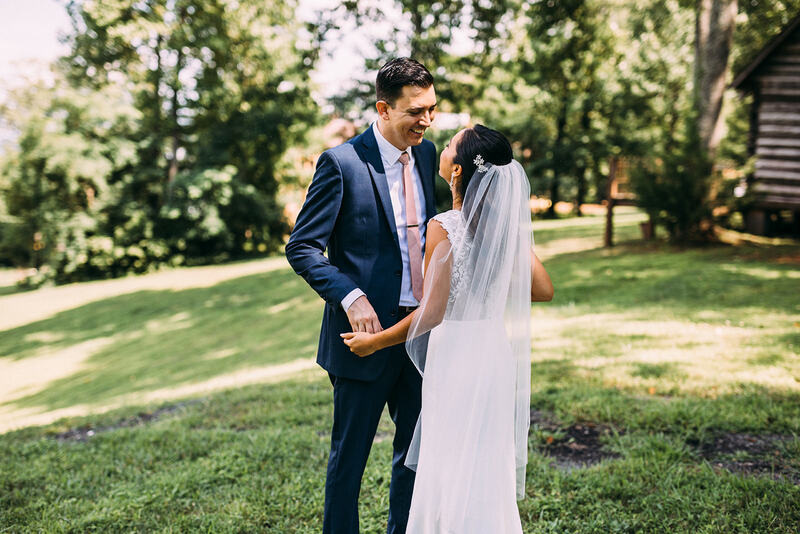 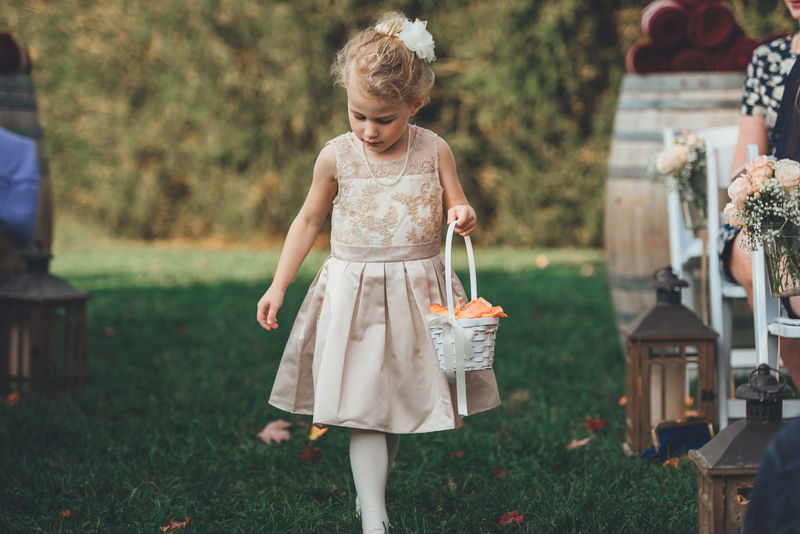 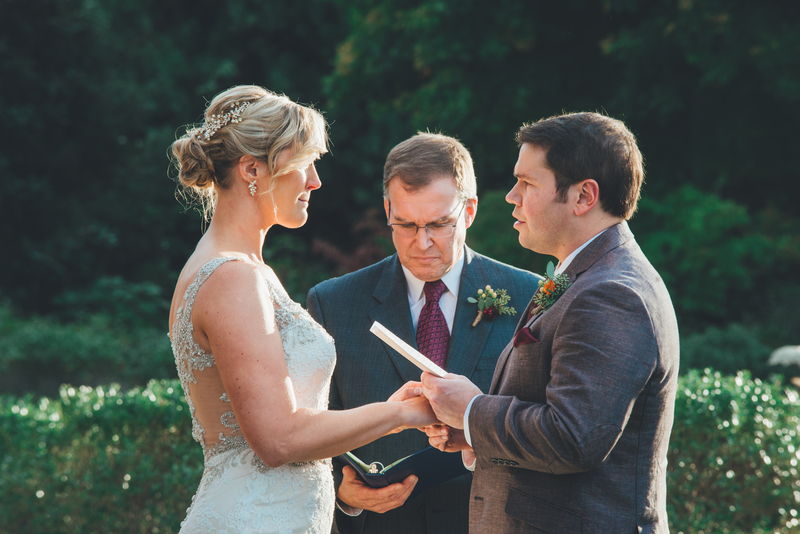 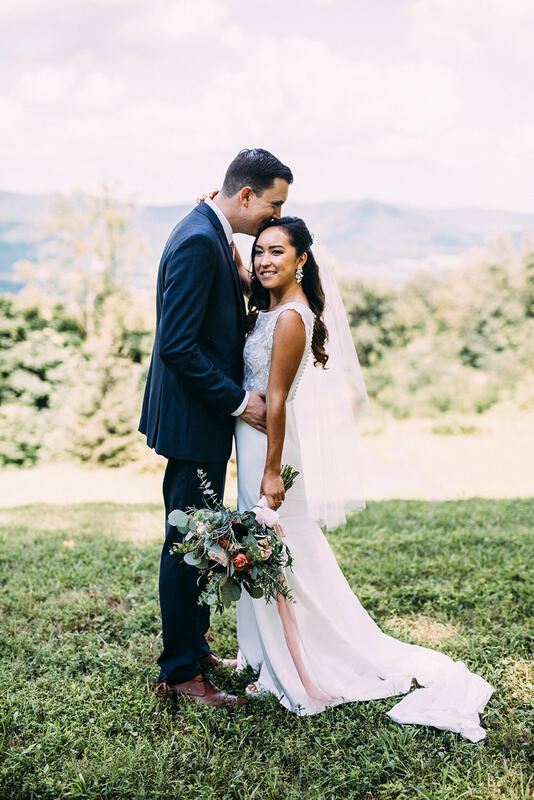 Soft hues, stunning Virginia spring weather, and a gorgeous bride and groom? 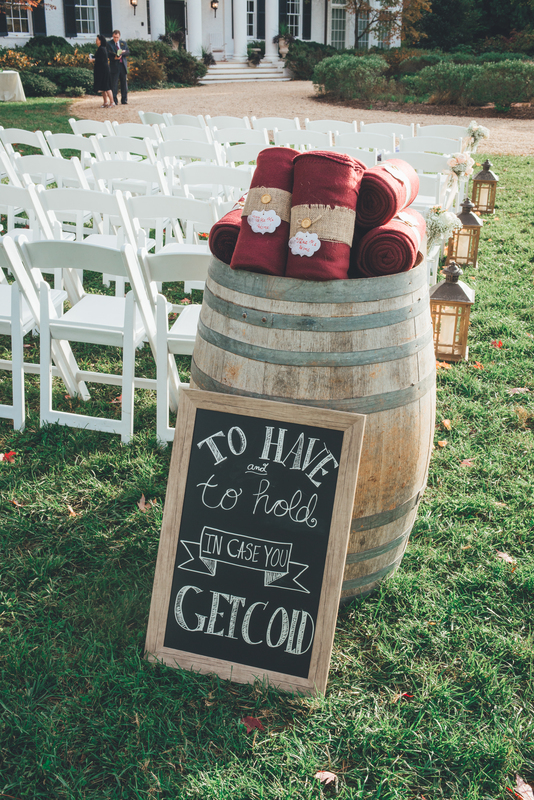 Yes, it sounds like the perfect wedding day to us, too. 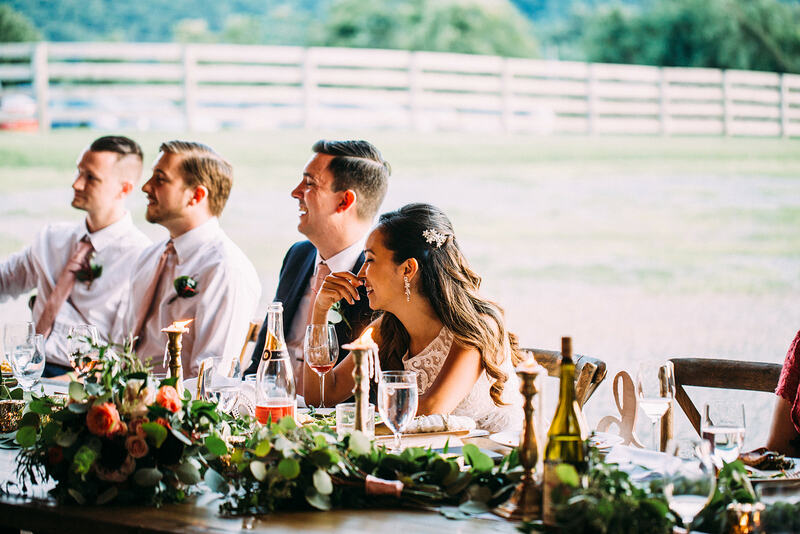 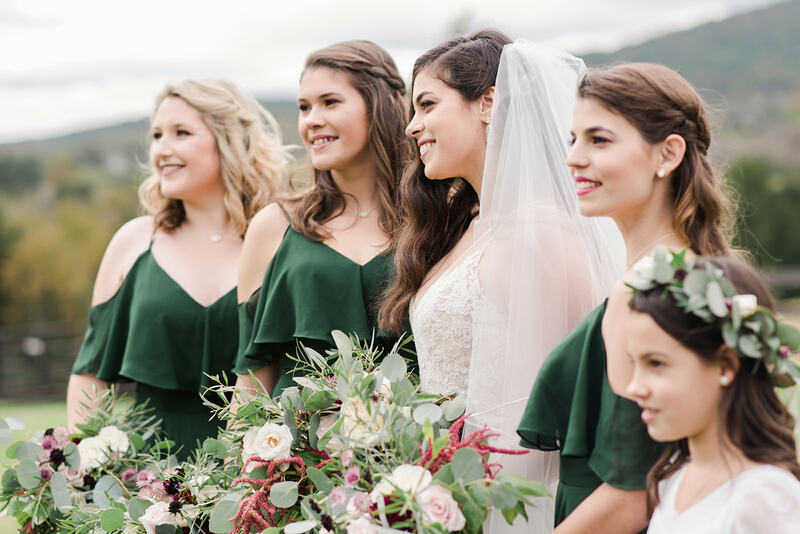 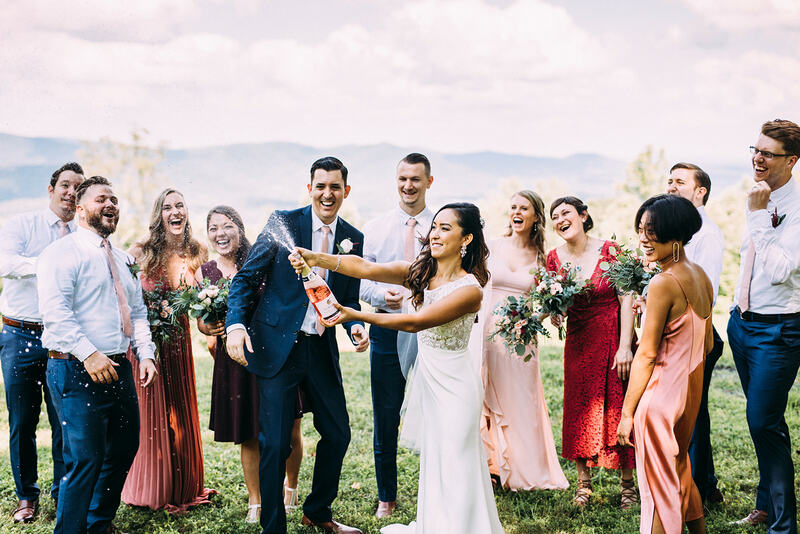 Alexandra + Chris’ springtime Early Mountain Vineyards wedding has everything we love in a big day. 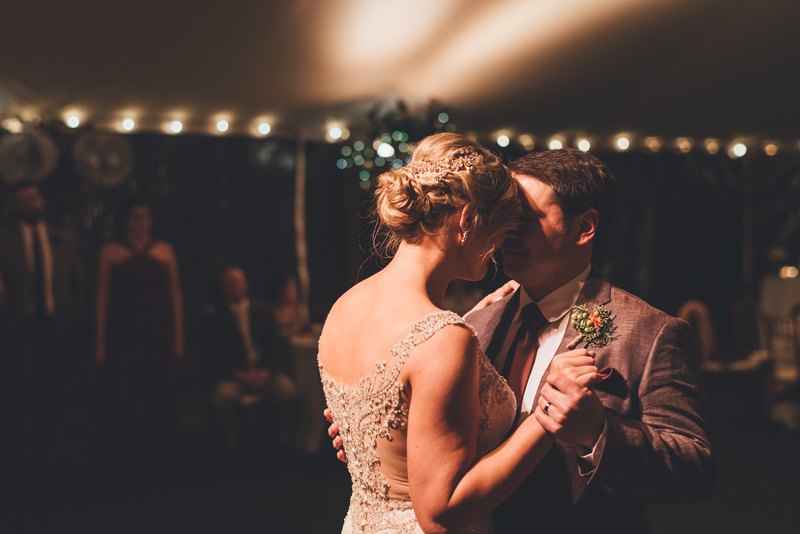 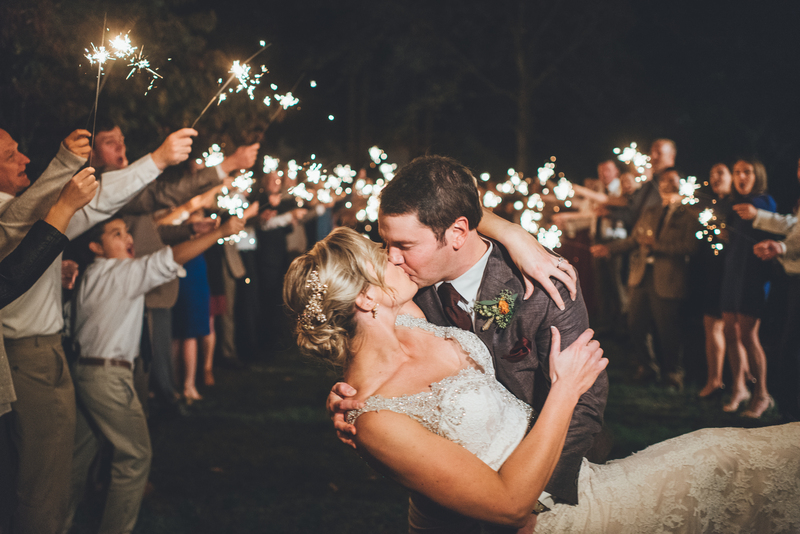 Romance, beauty, and a bride and groom that could light up an entire room together. 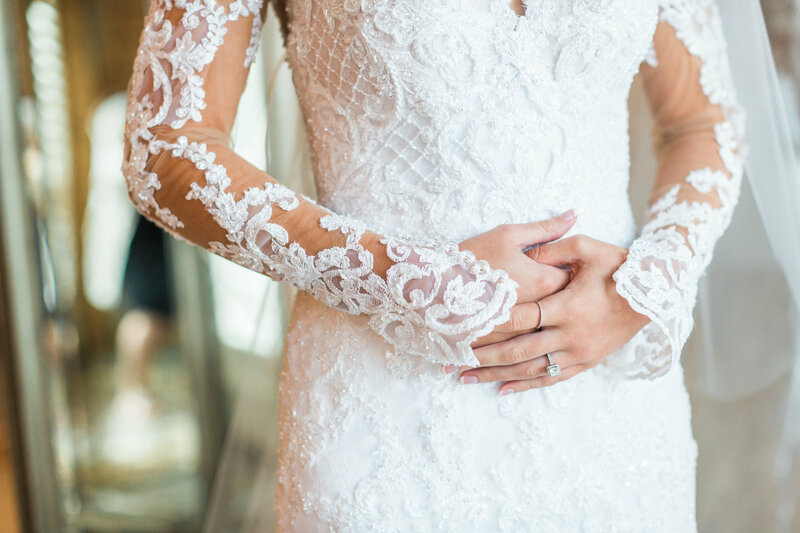 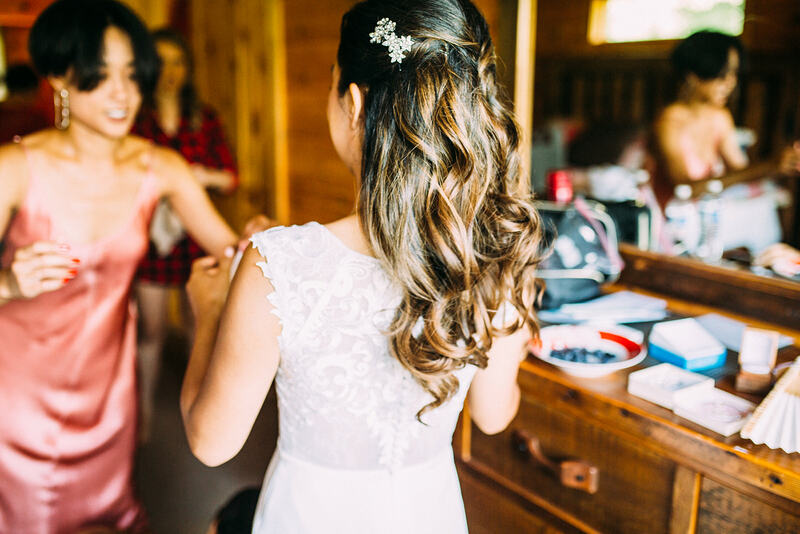 For Alexandra’s wedding day, we wanted to make her look ultra romantic. 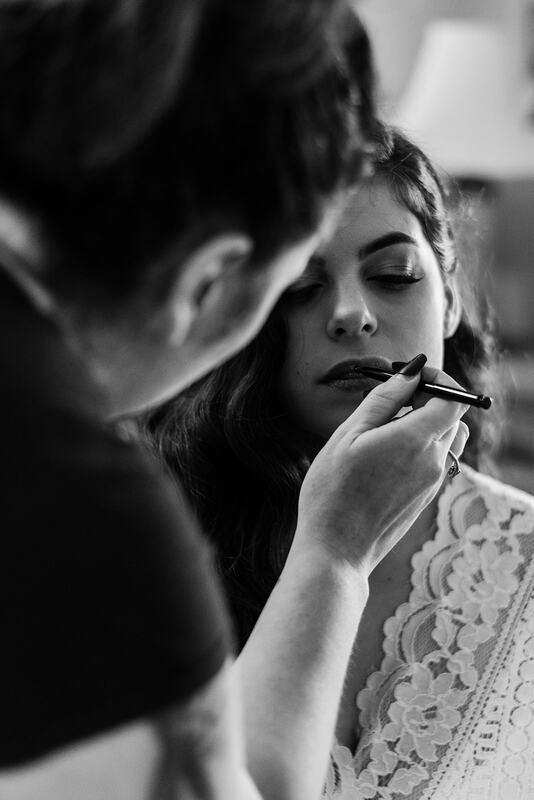 For her makeup look, it was all about enhancing her natural beauty. 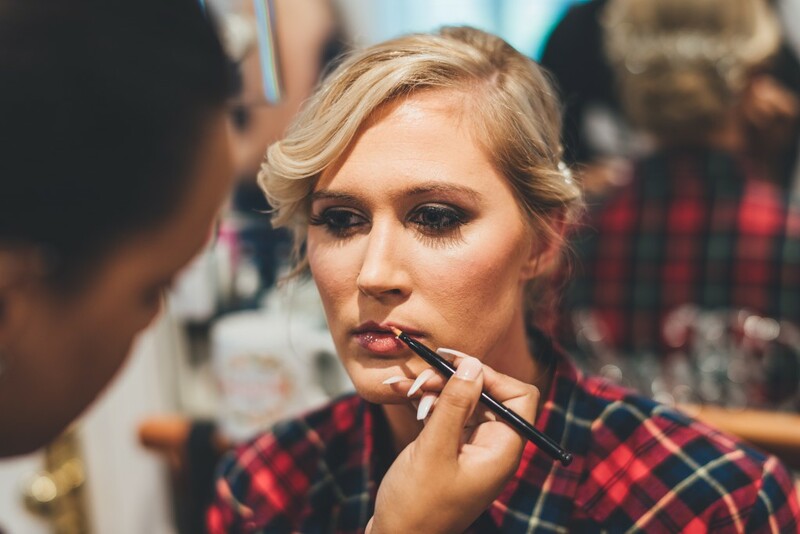 We kept things neutral but defined on her eyes but made sure to keep her lashes voluminous and romantic. 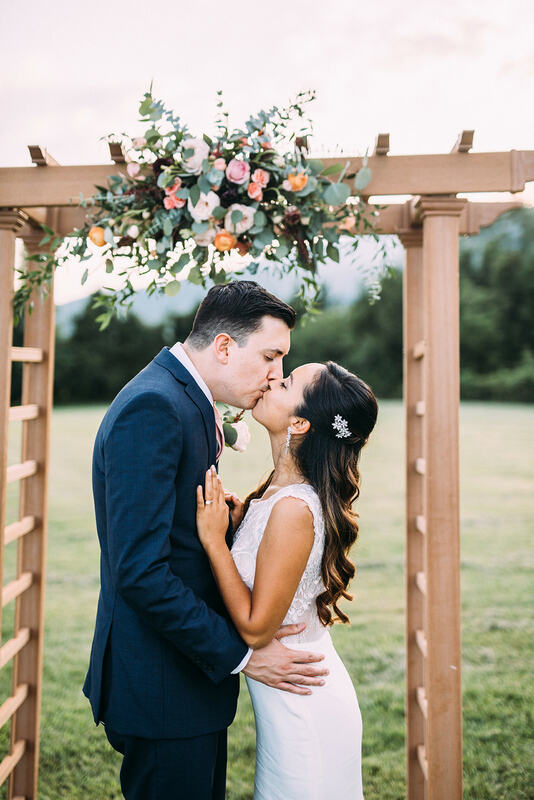 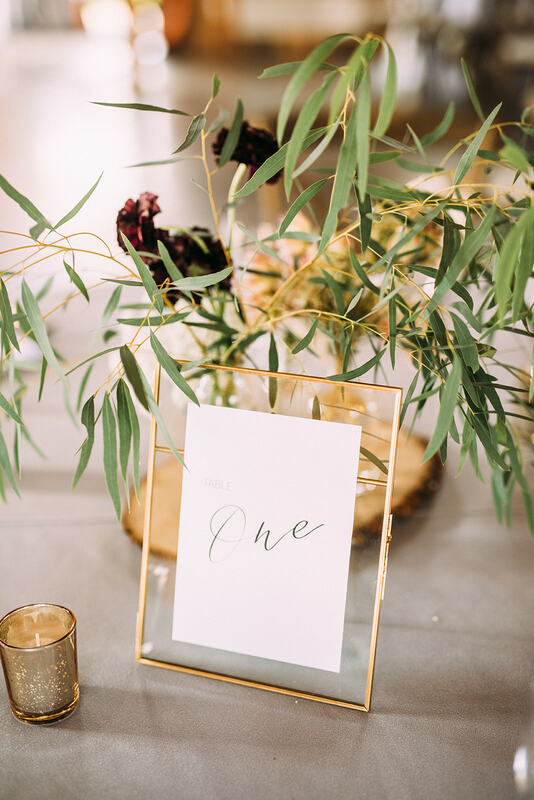 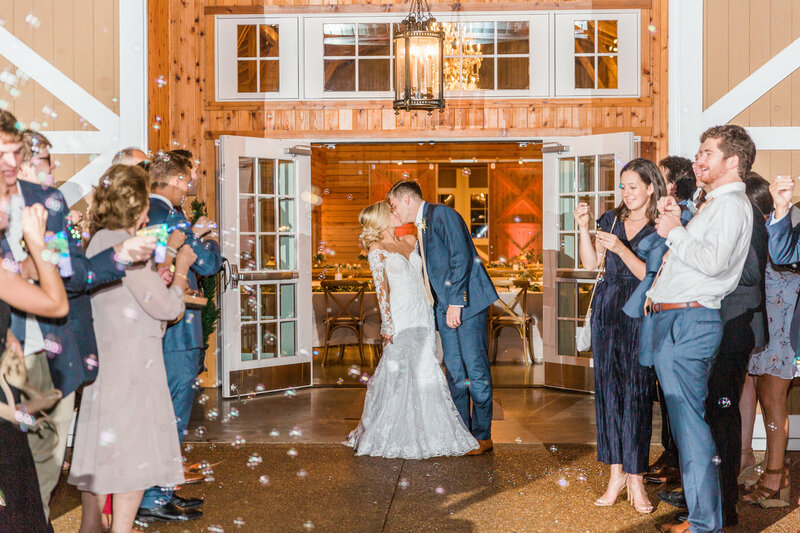 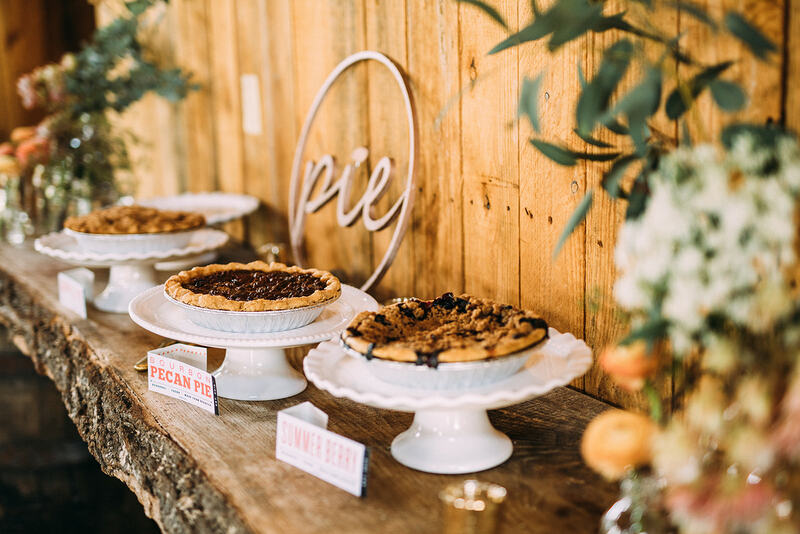 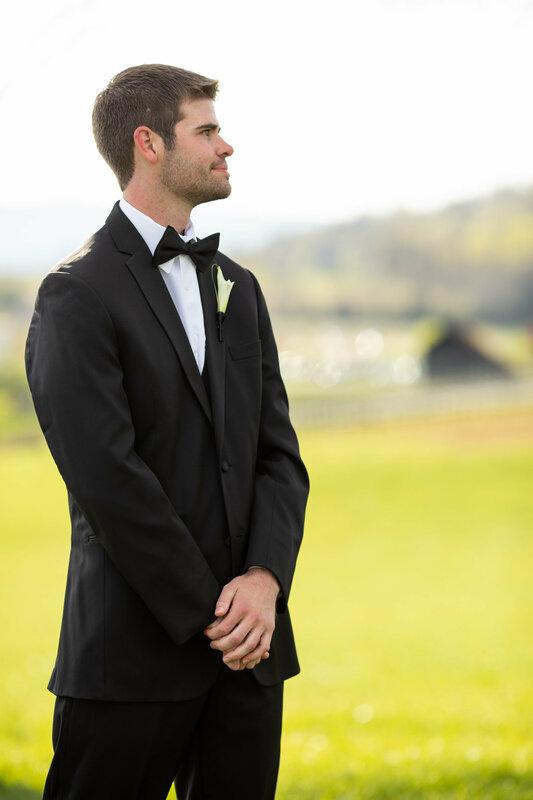 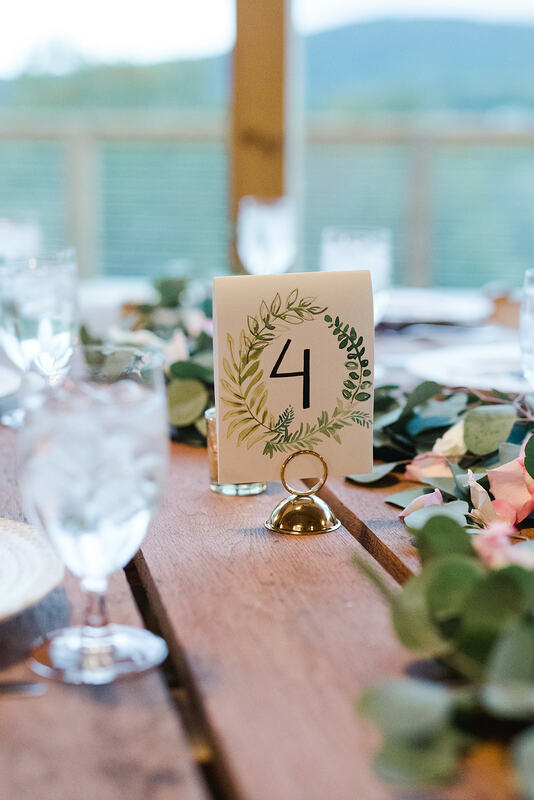 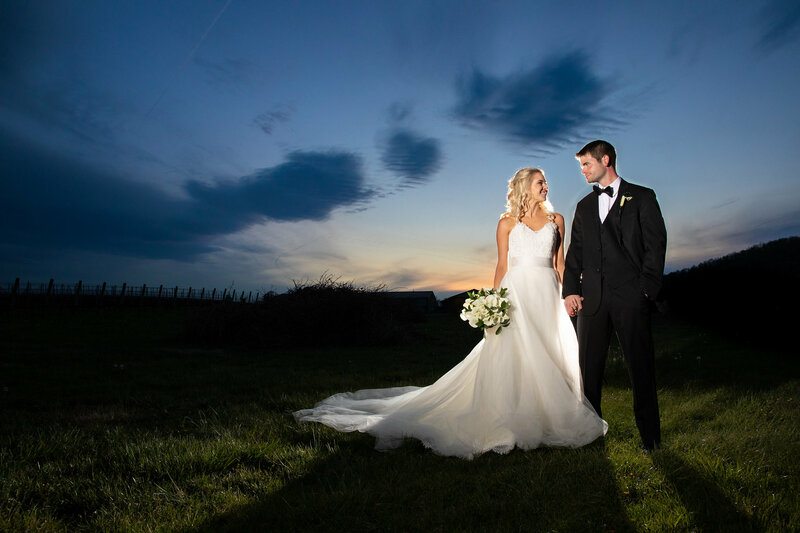 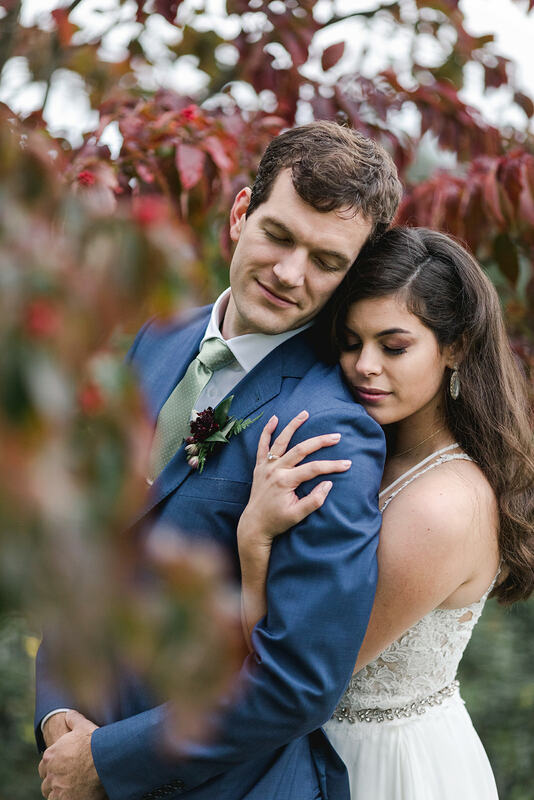 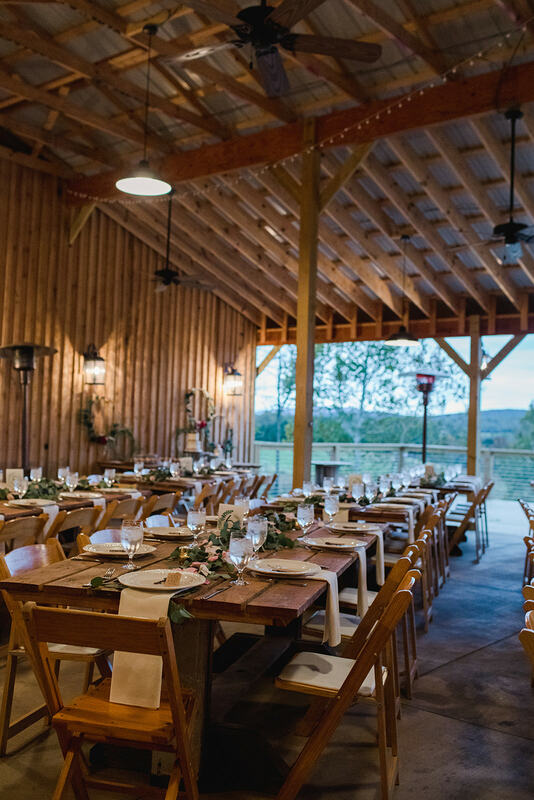 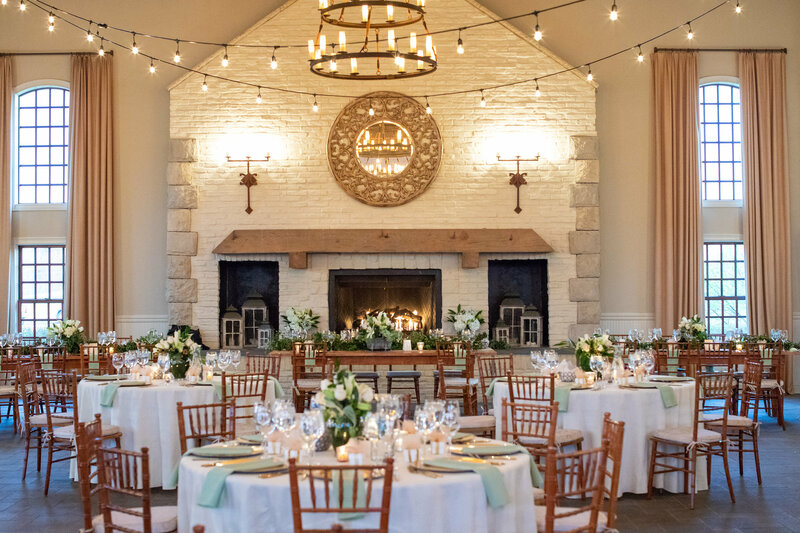 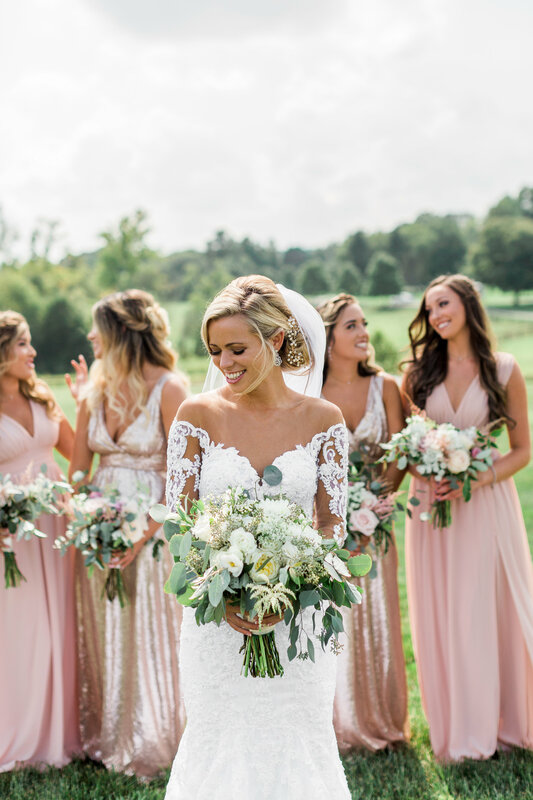 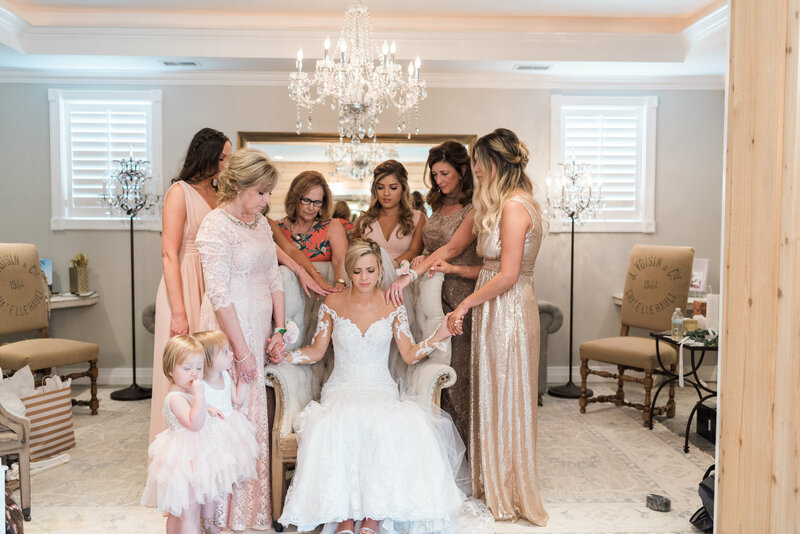 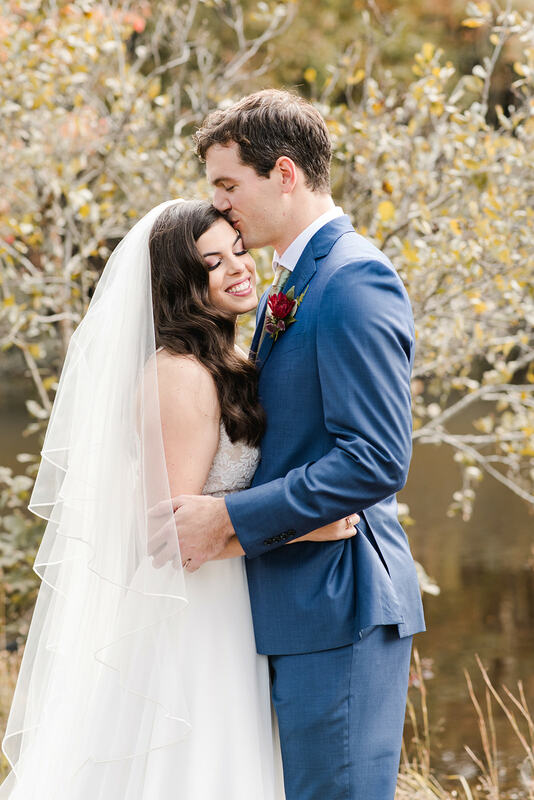 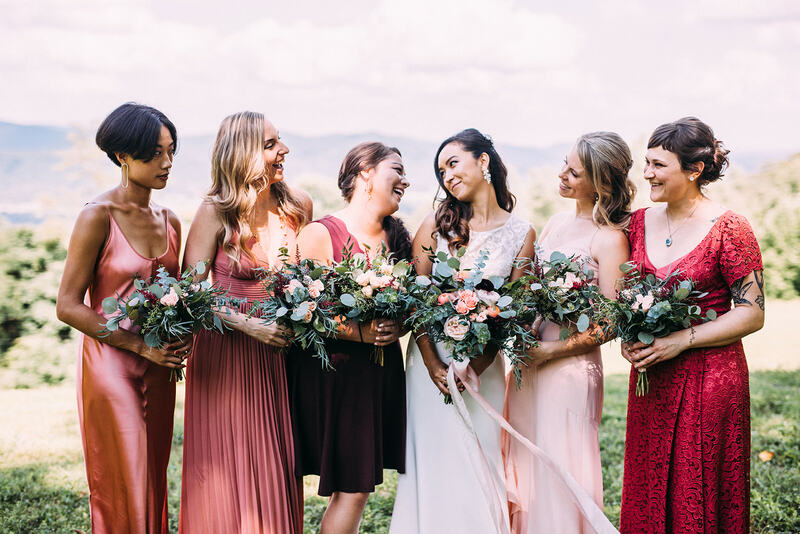 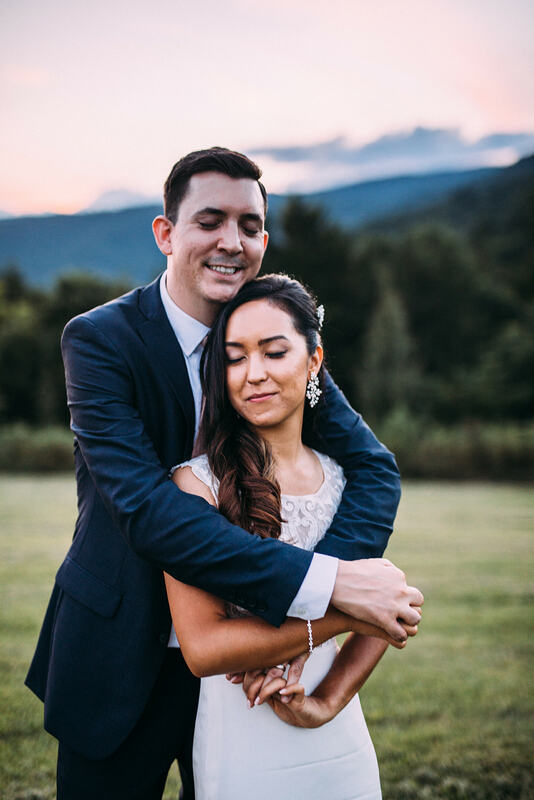 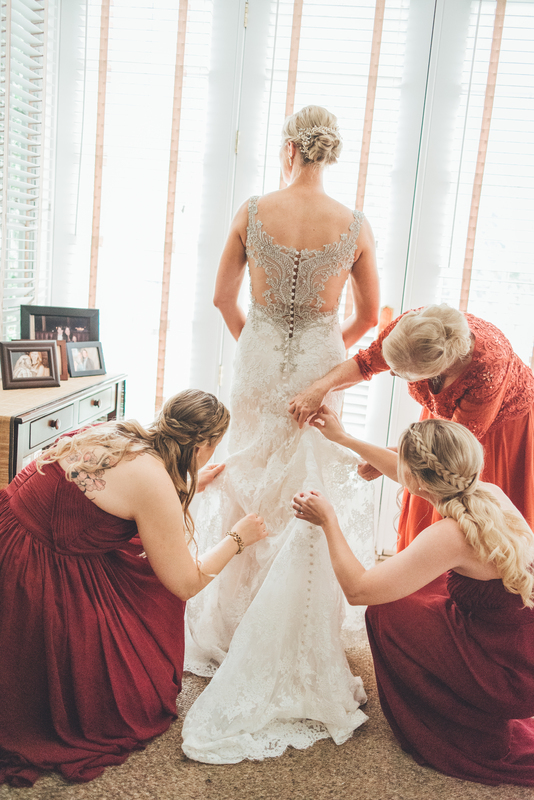 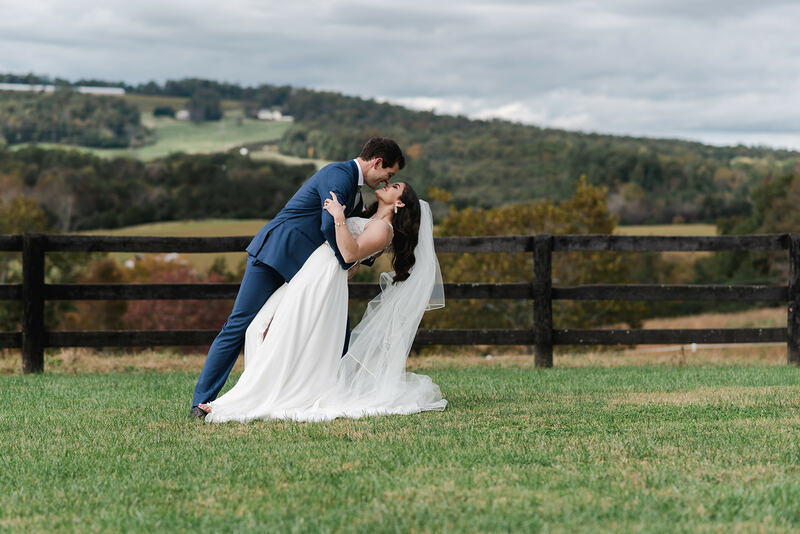 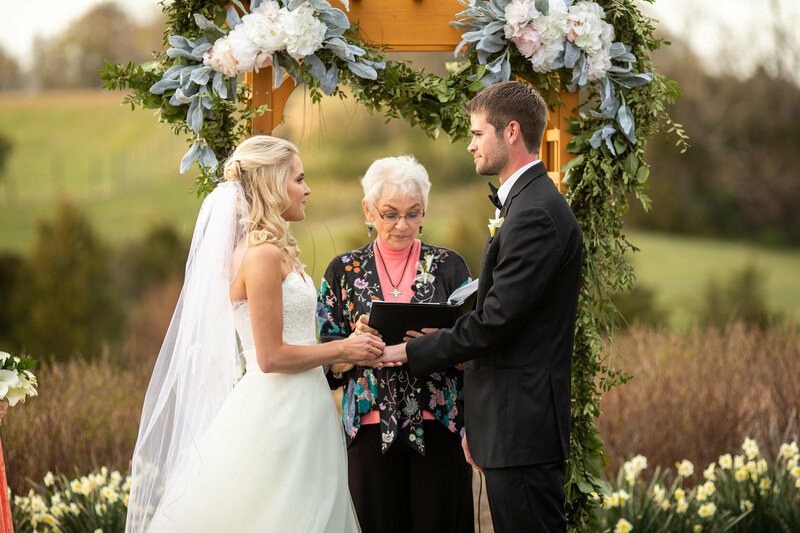 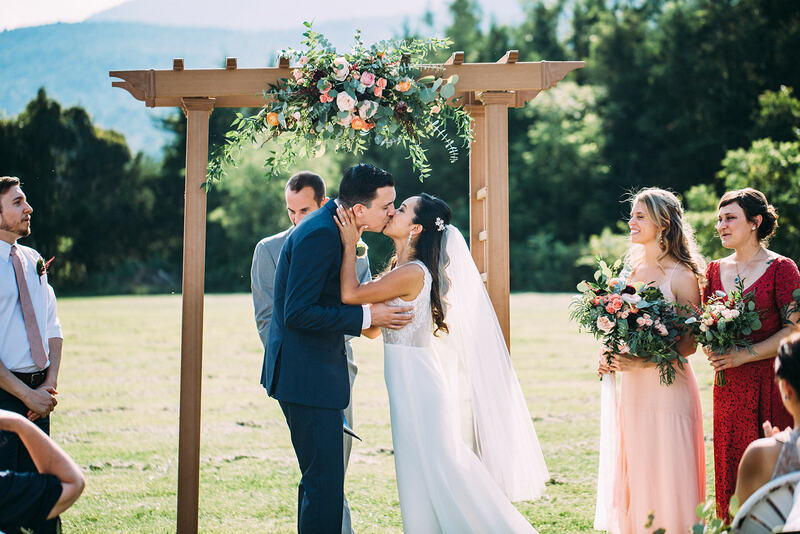 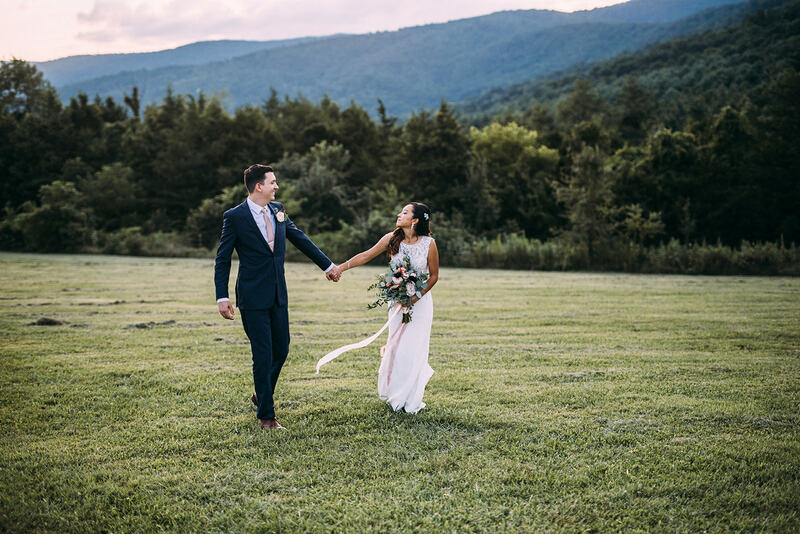 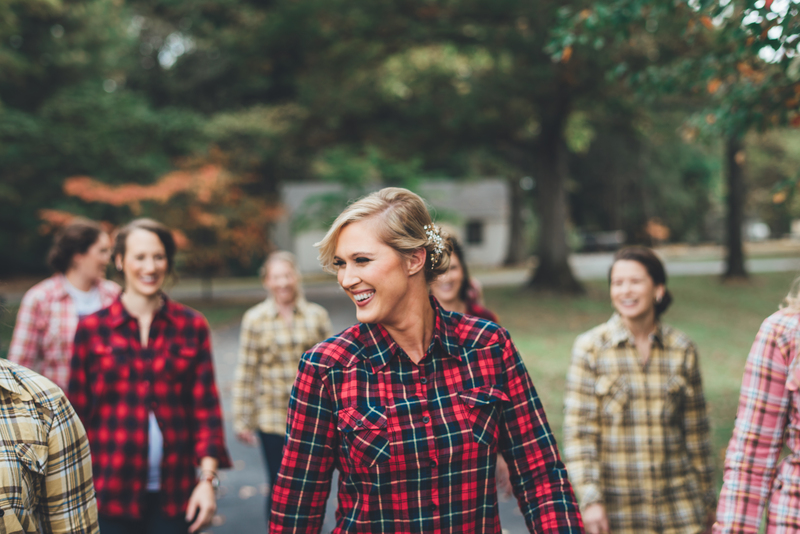 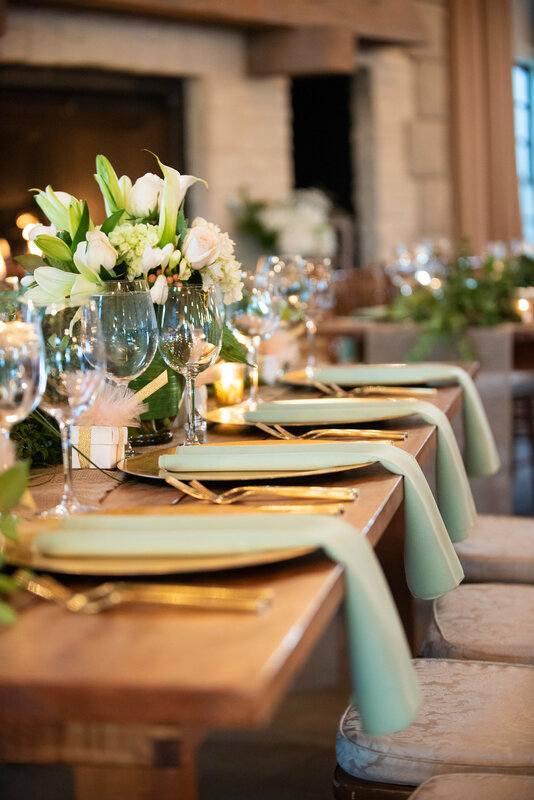 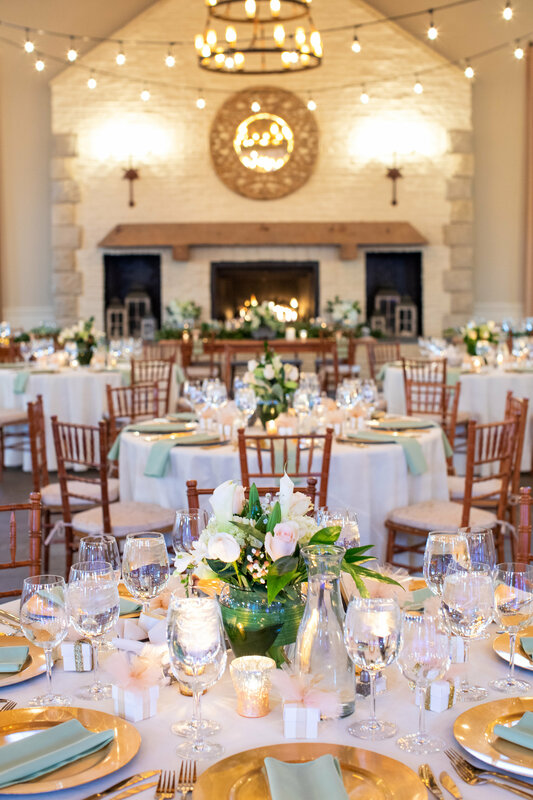 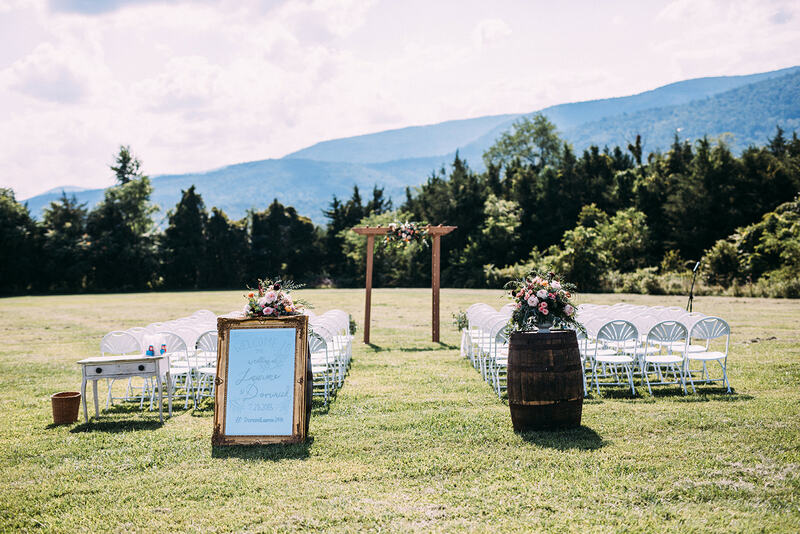 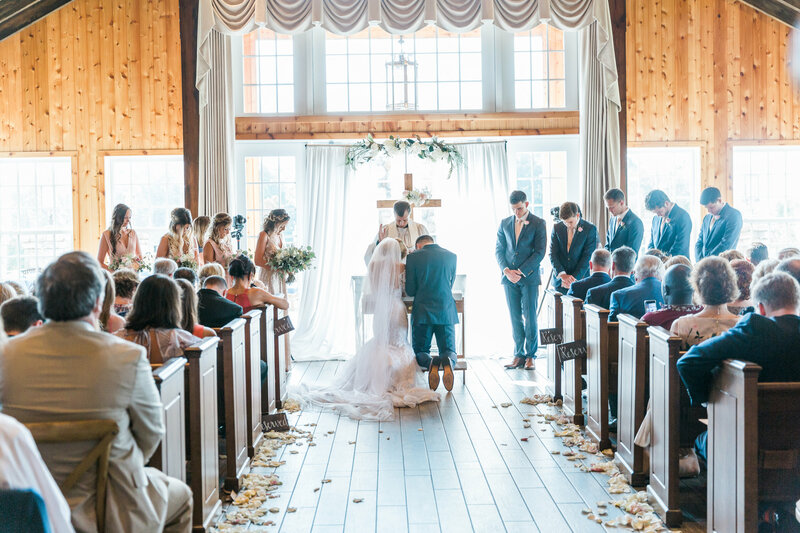 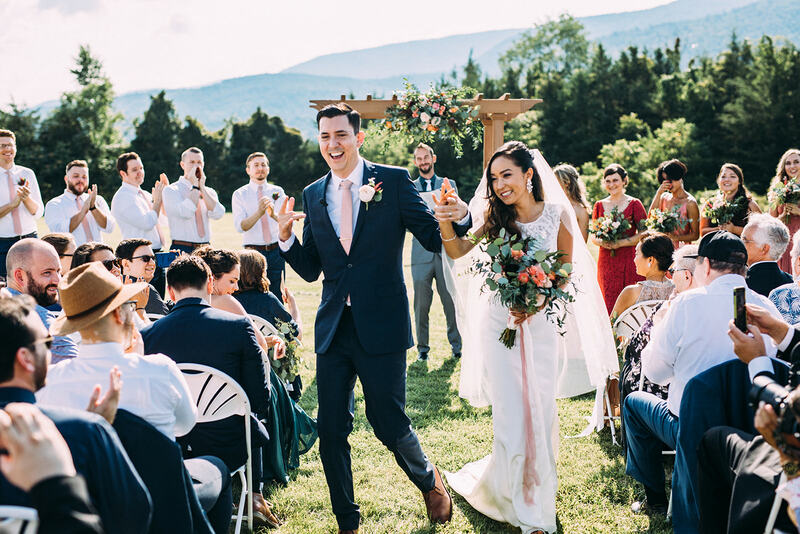 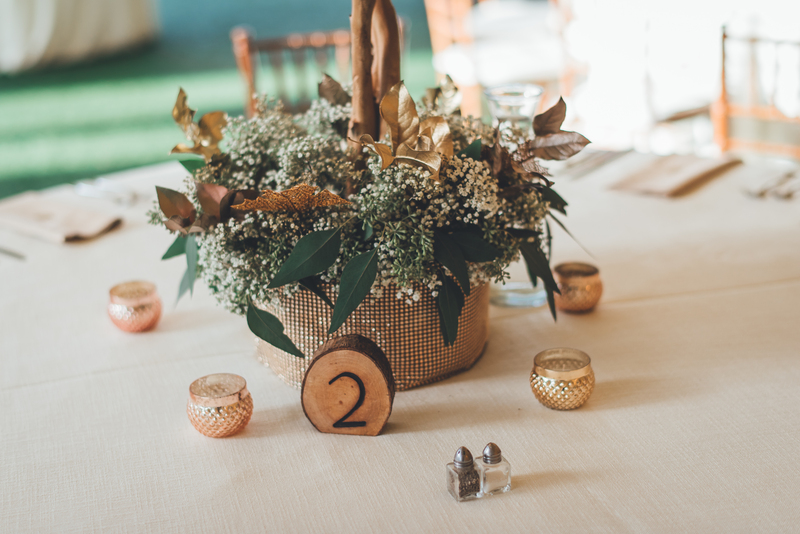 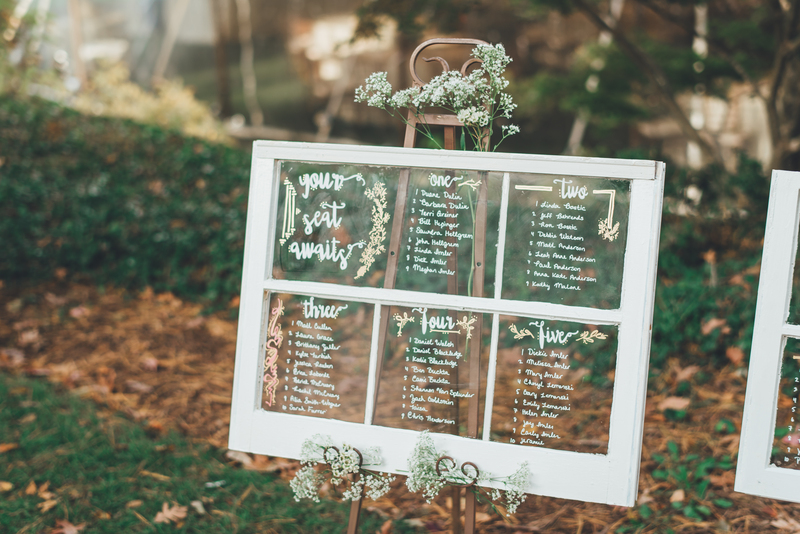 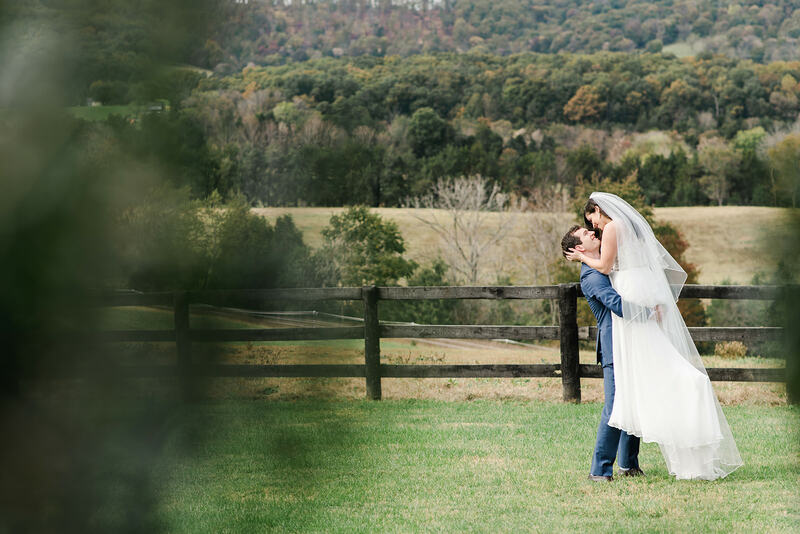 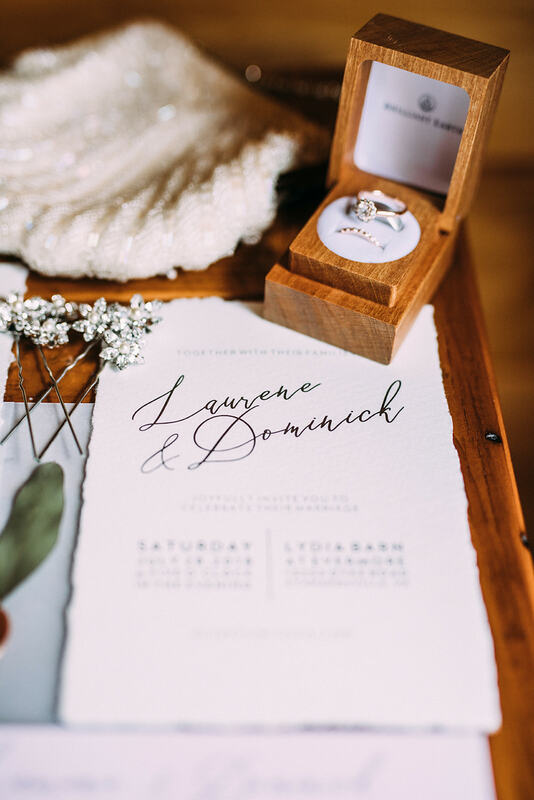 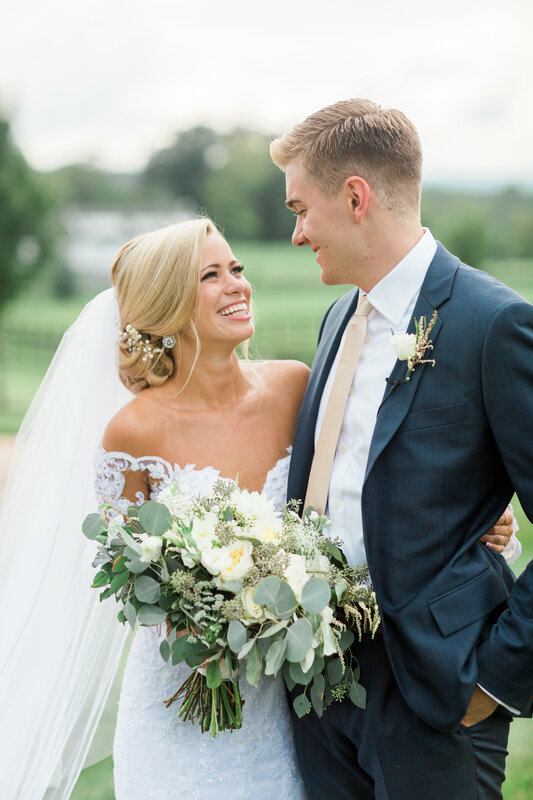 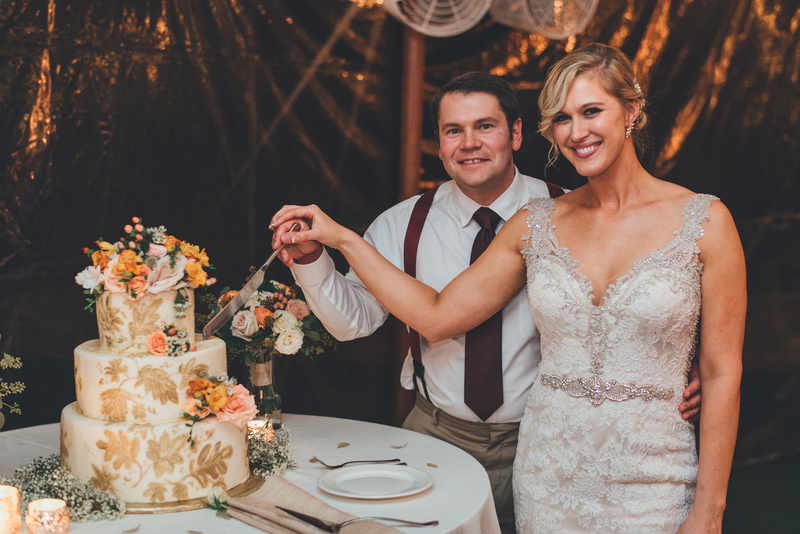 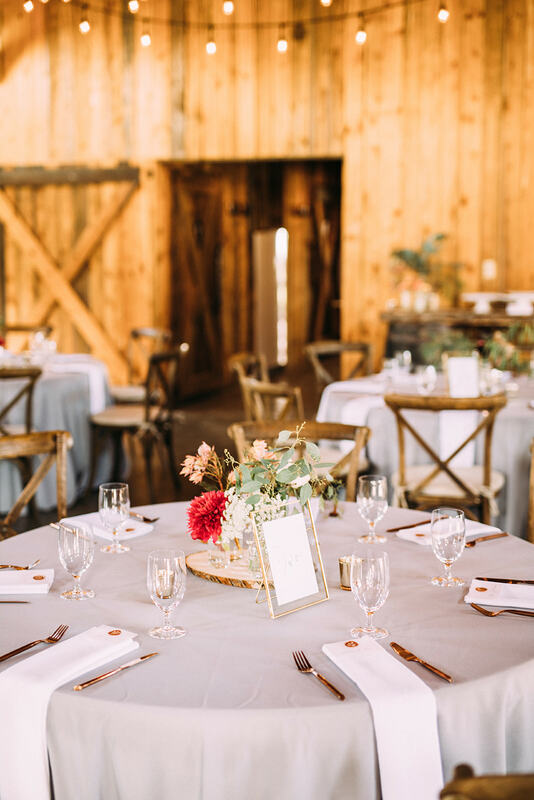 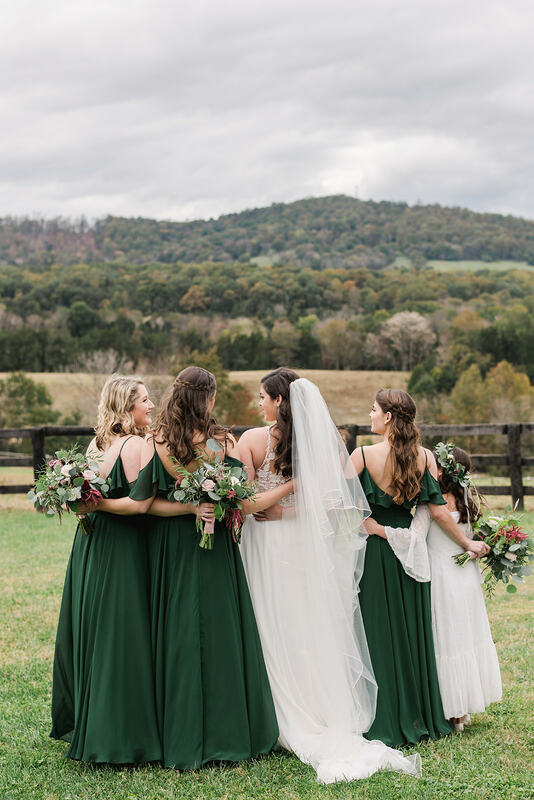 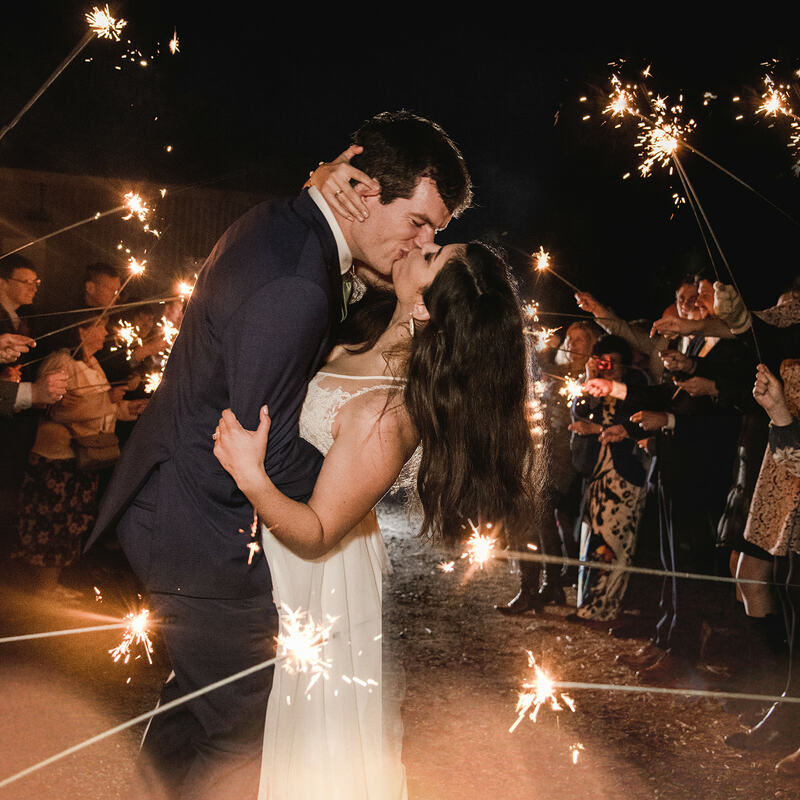 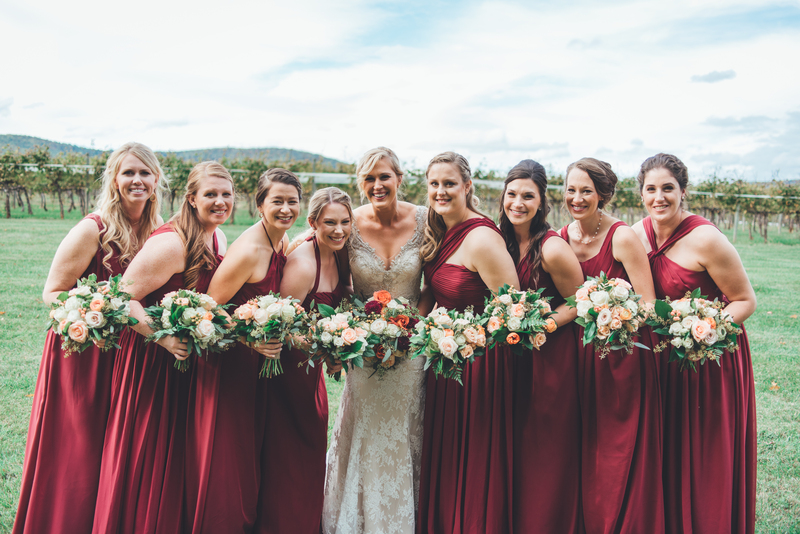 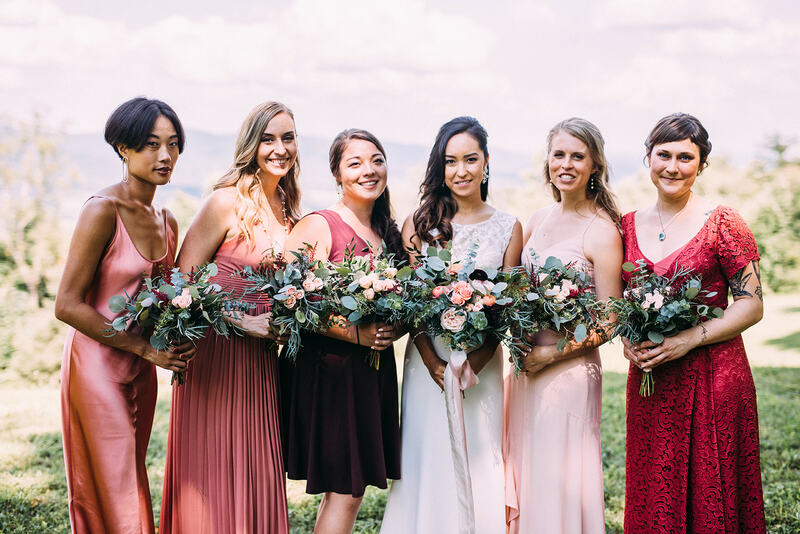 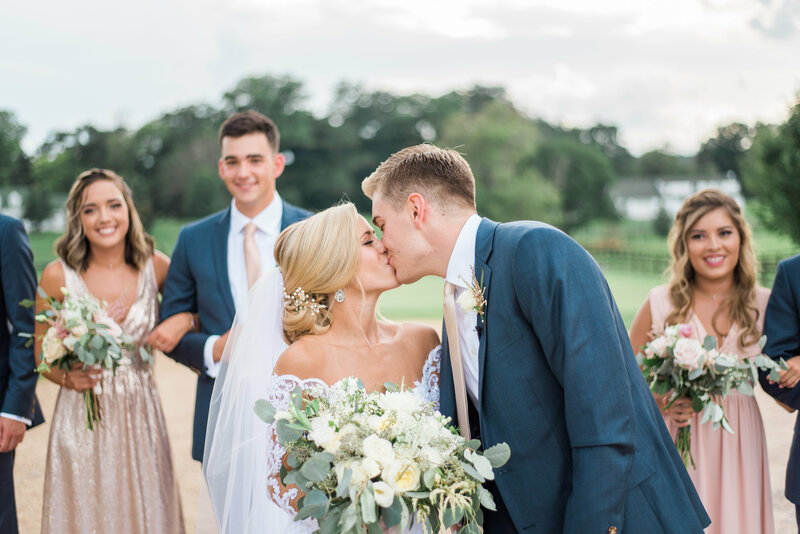 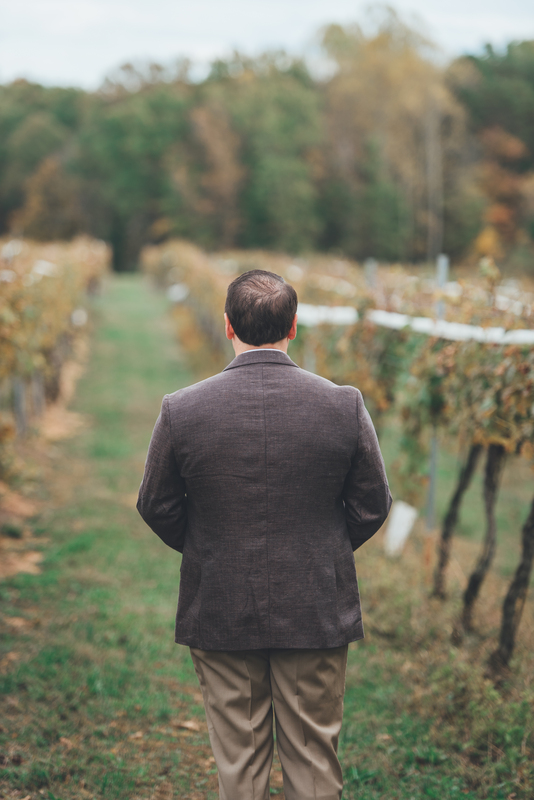 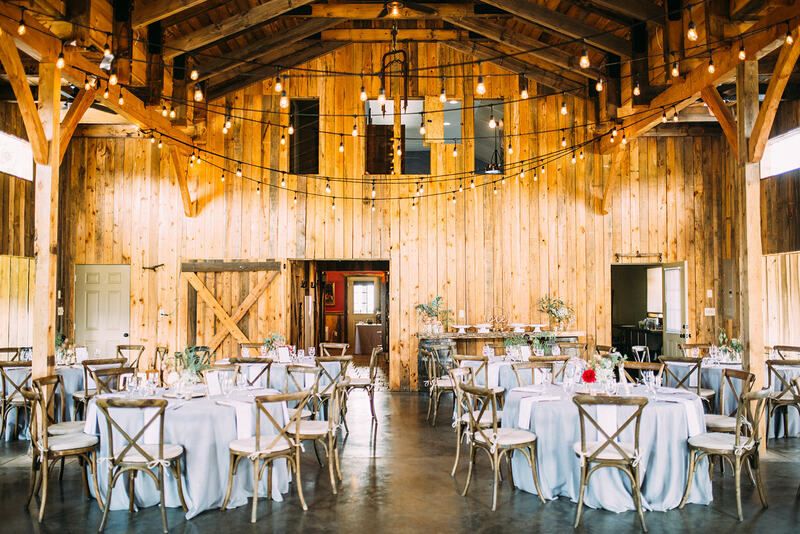 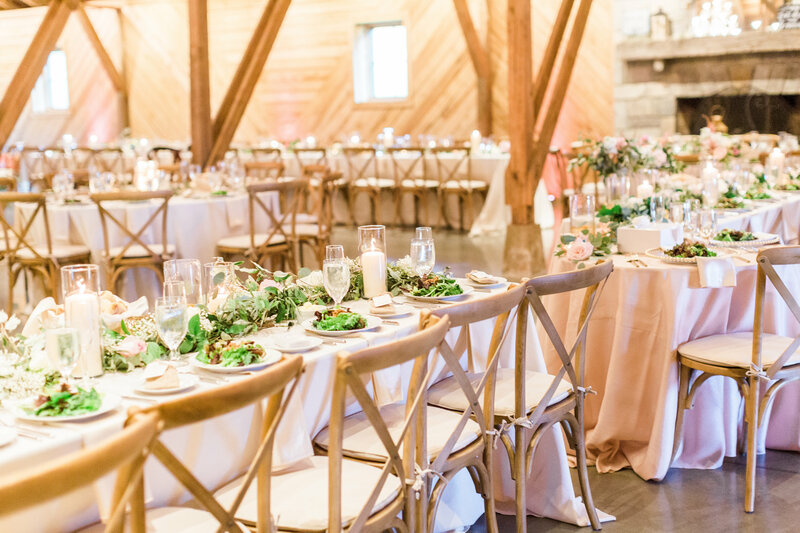 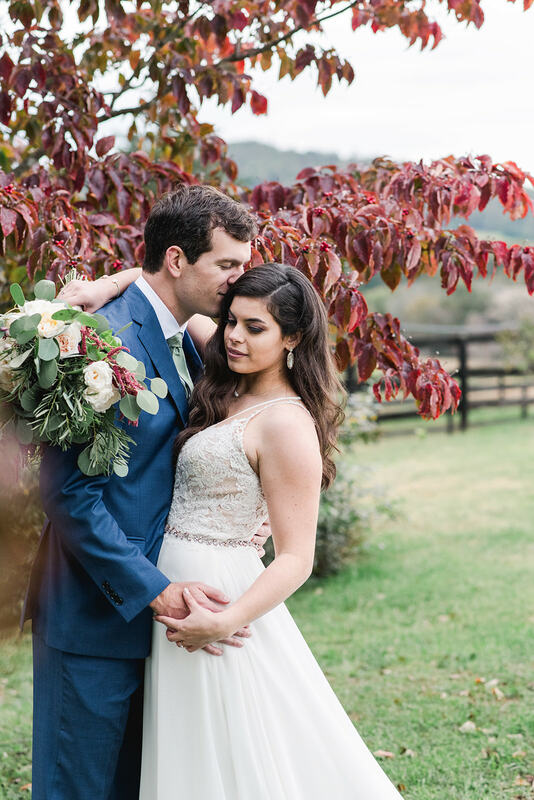 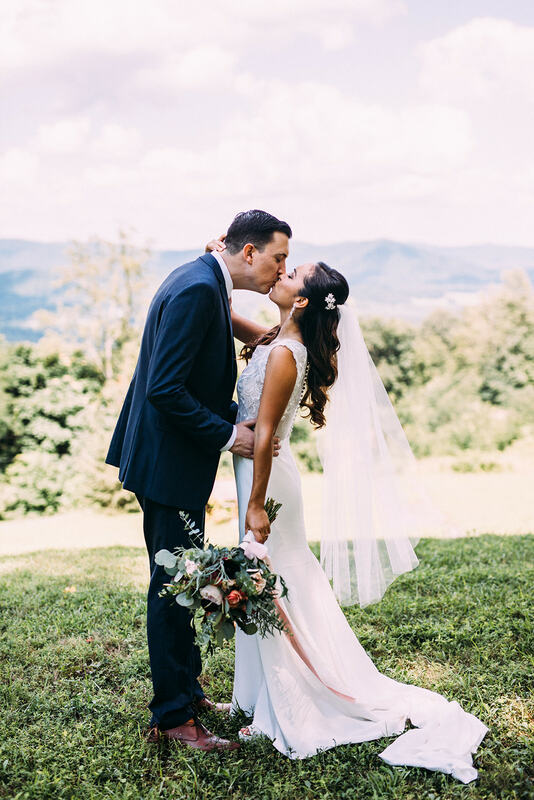 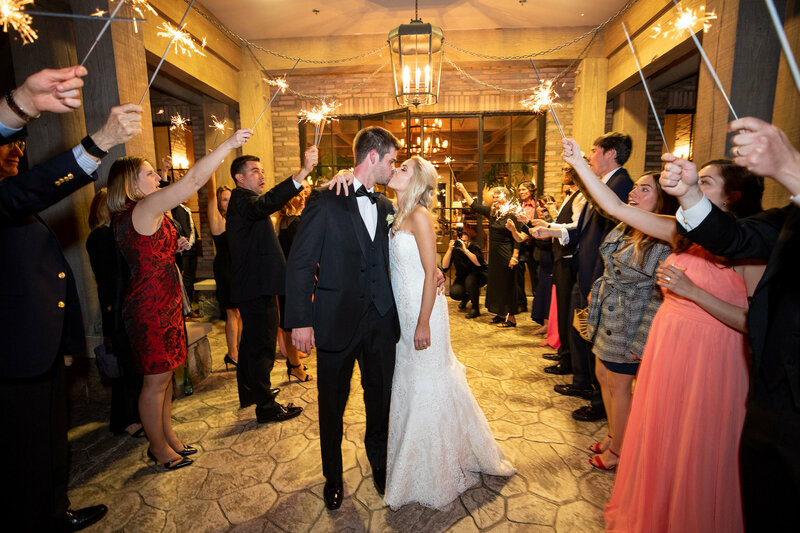 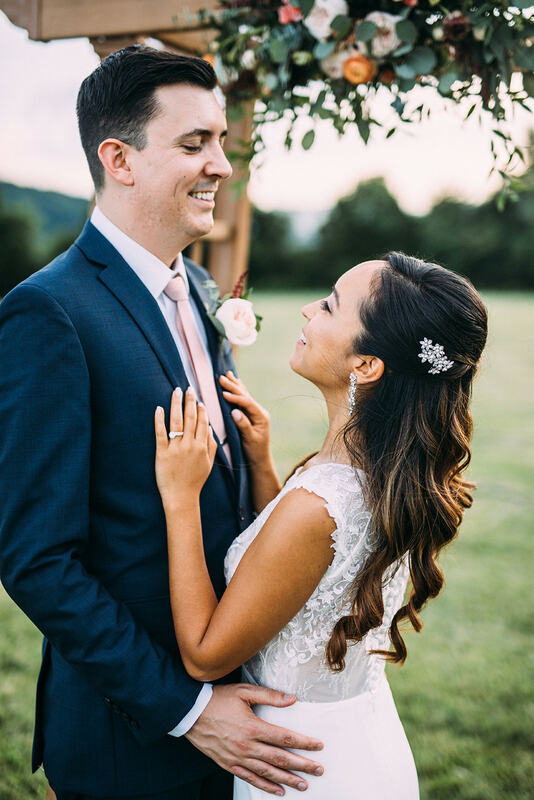 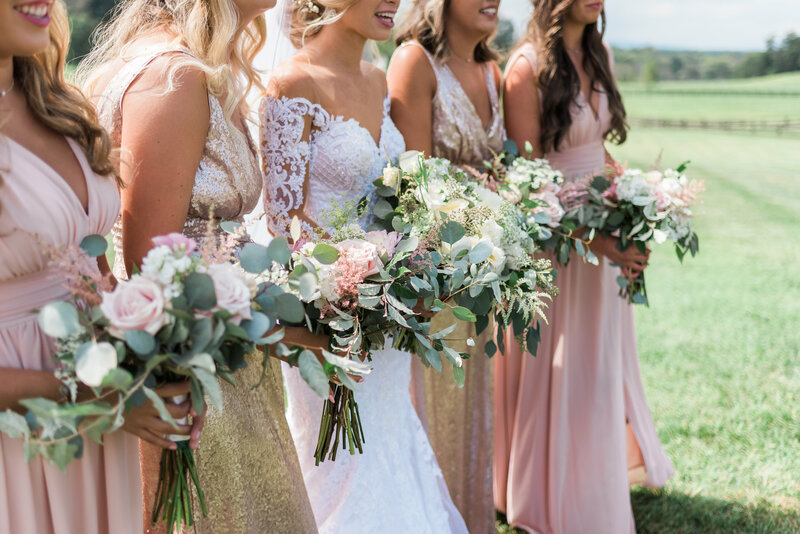 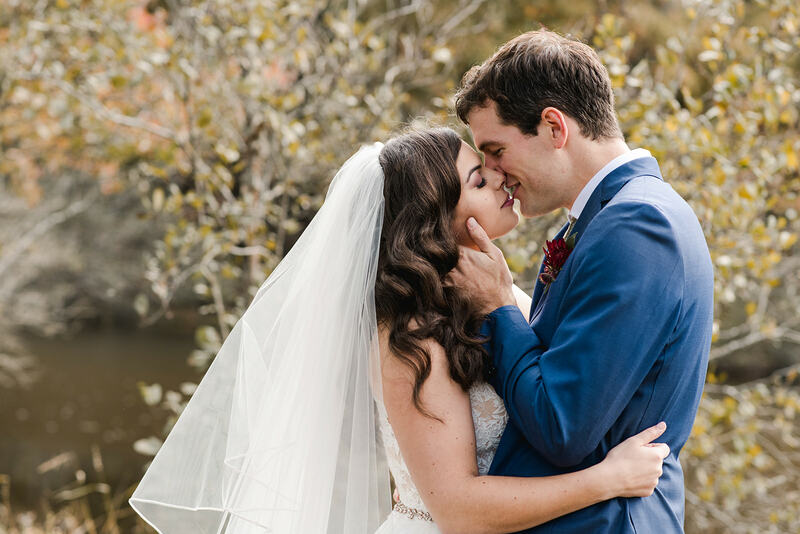 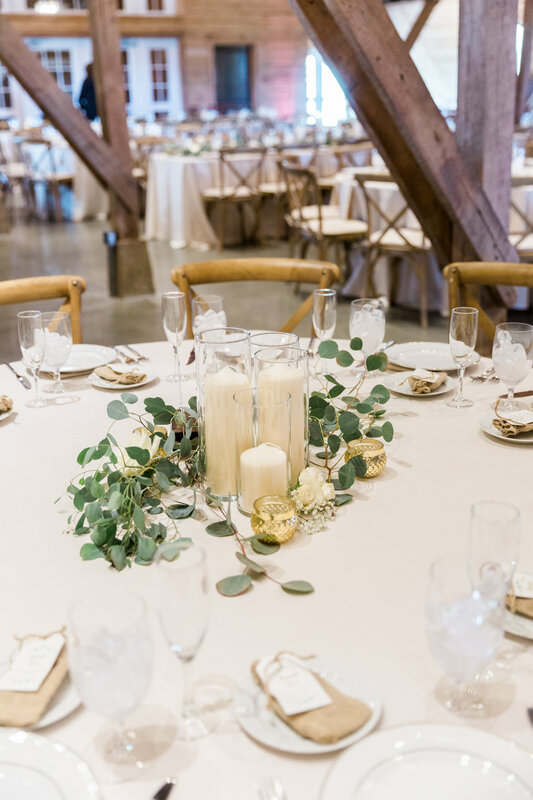 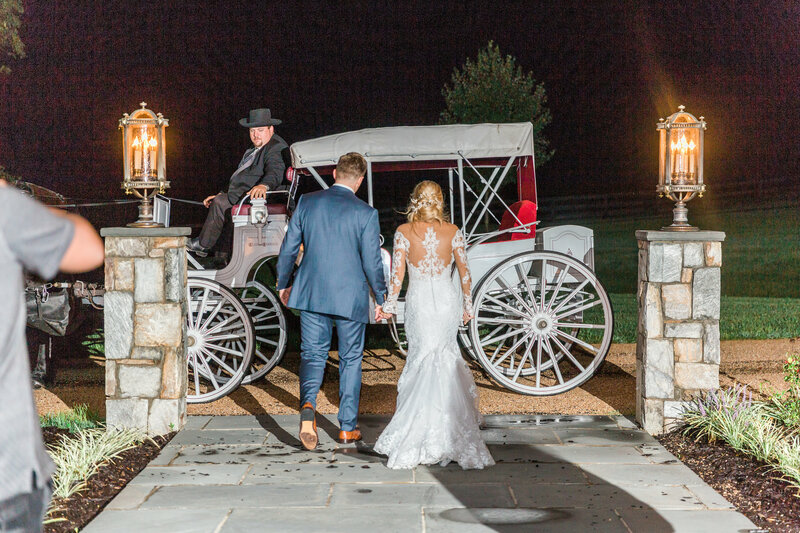 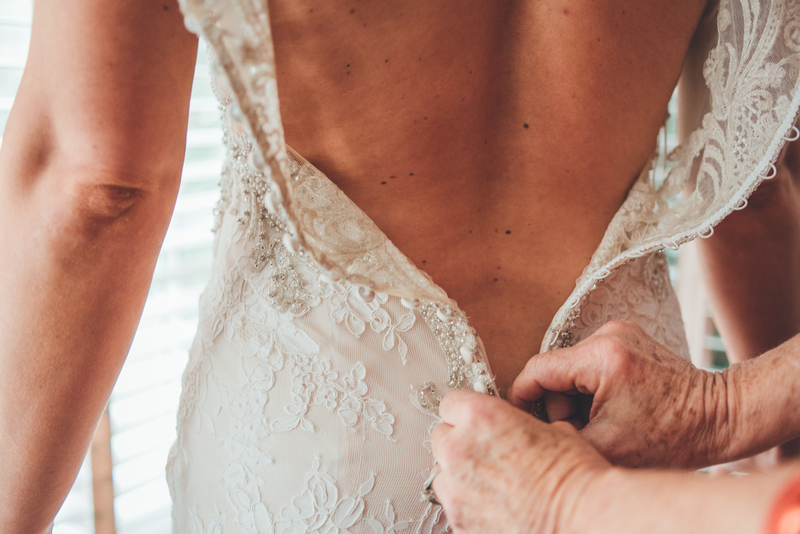 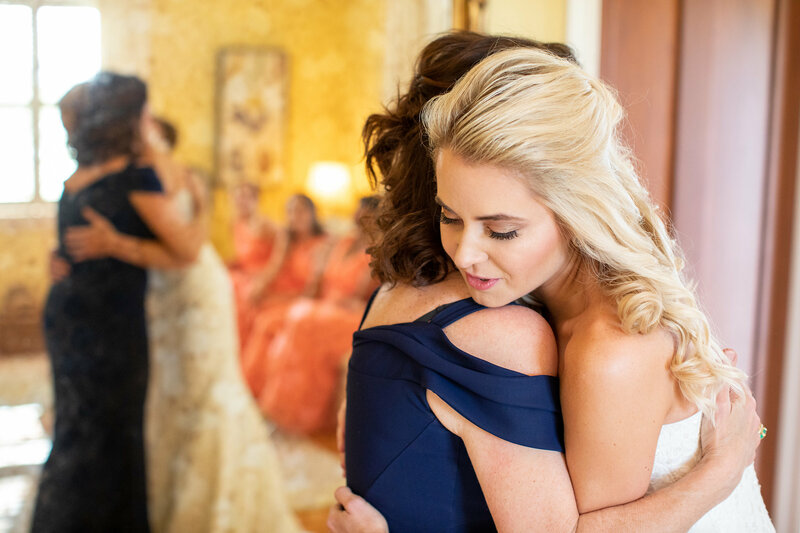 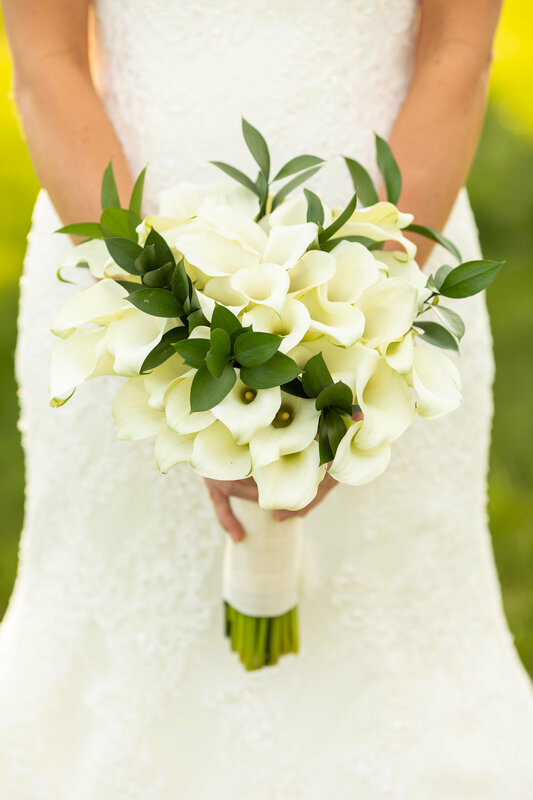 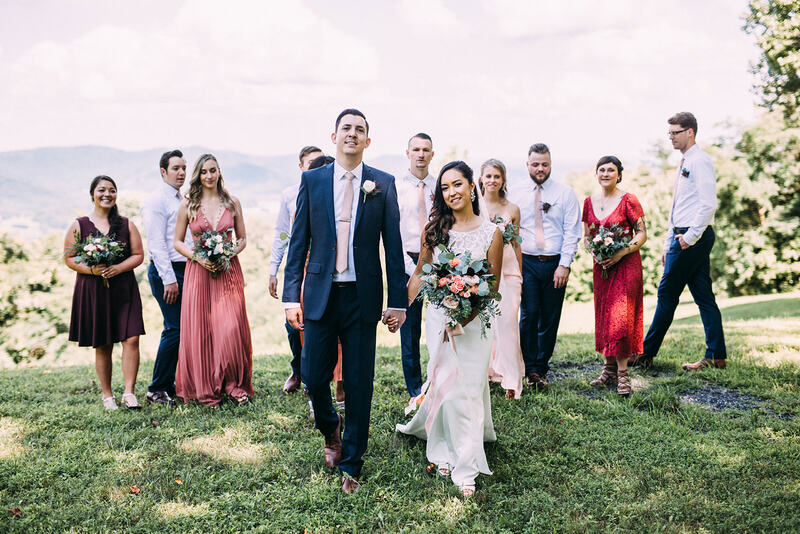 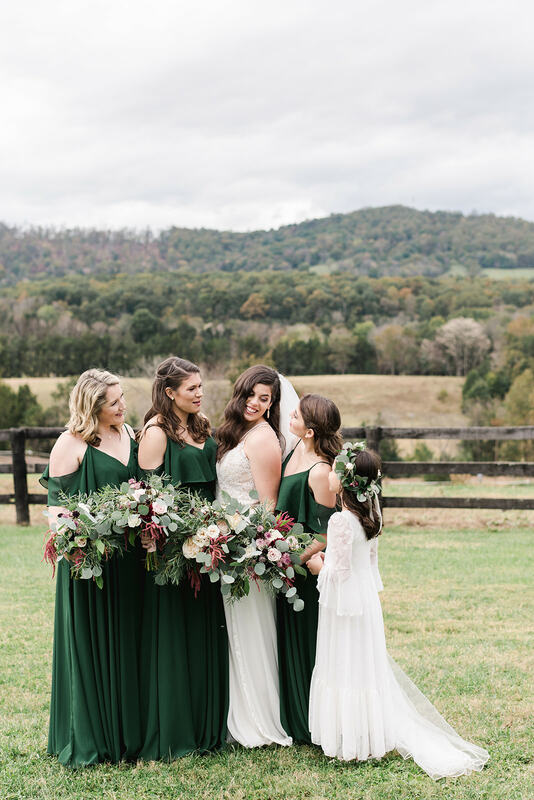 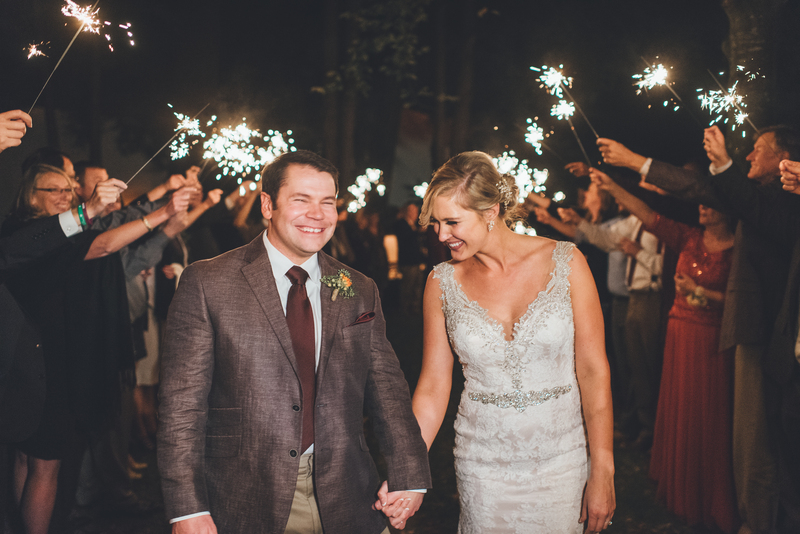 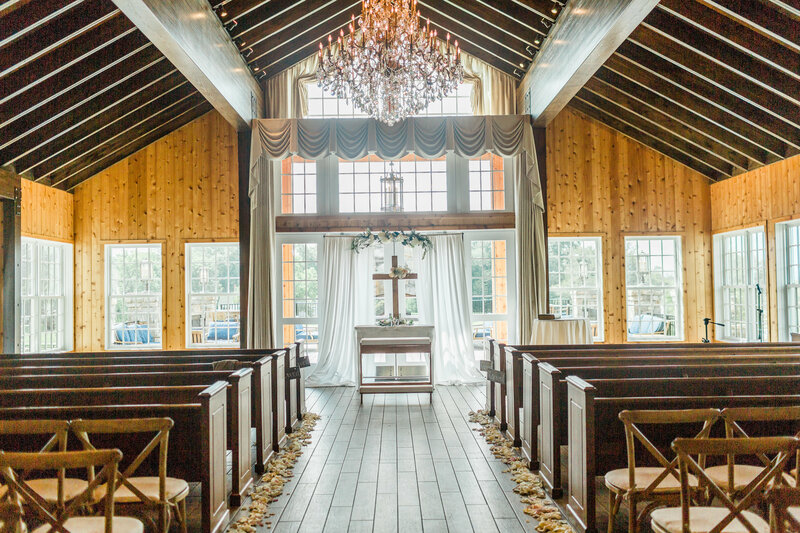 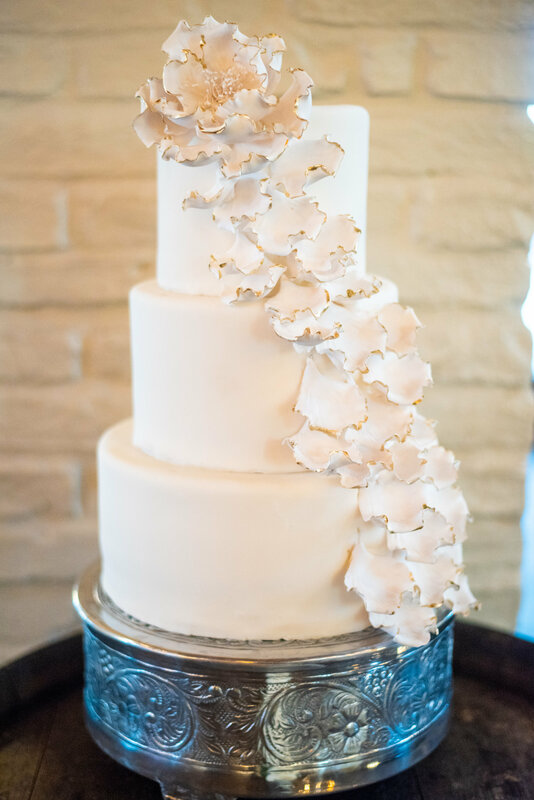 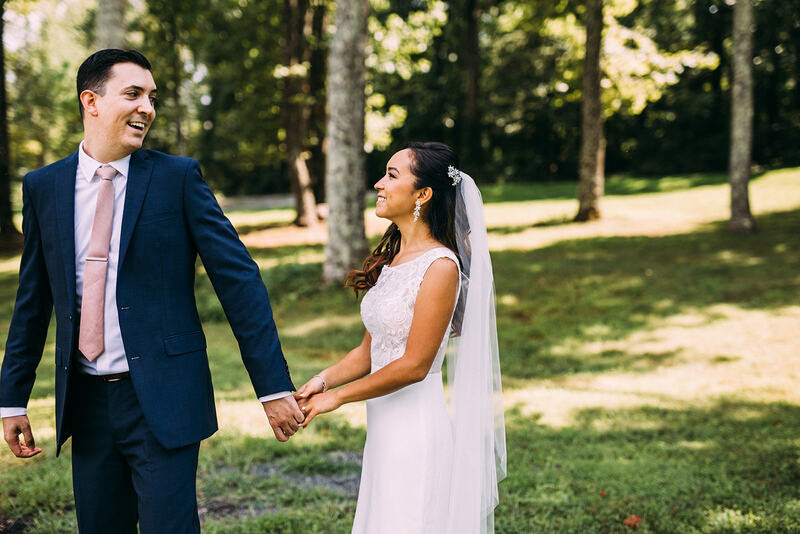 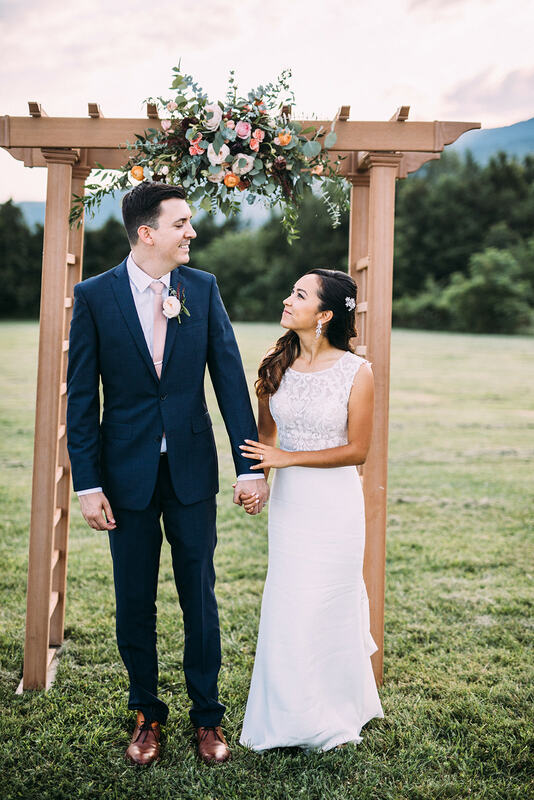 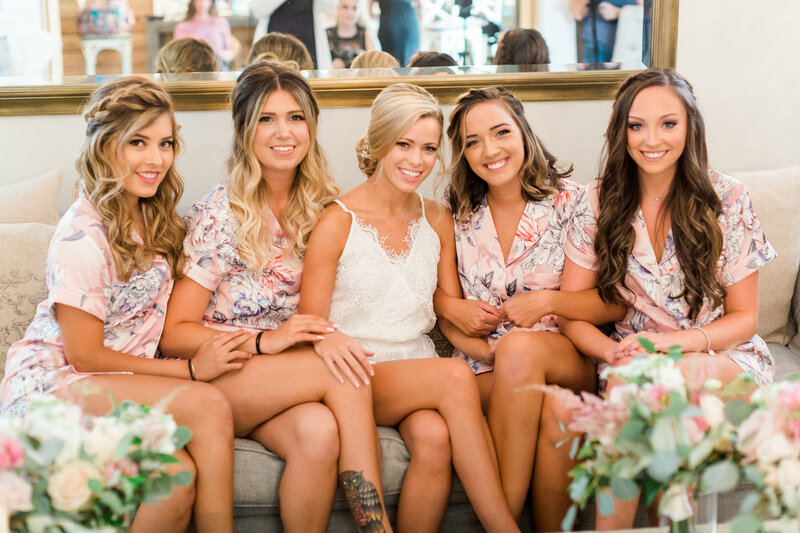 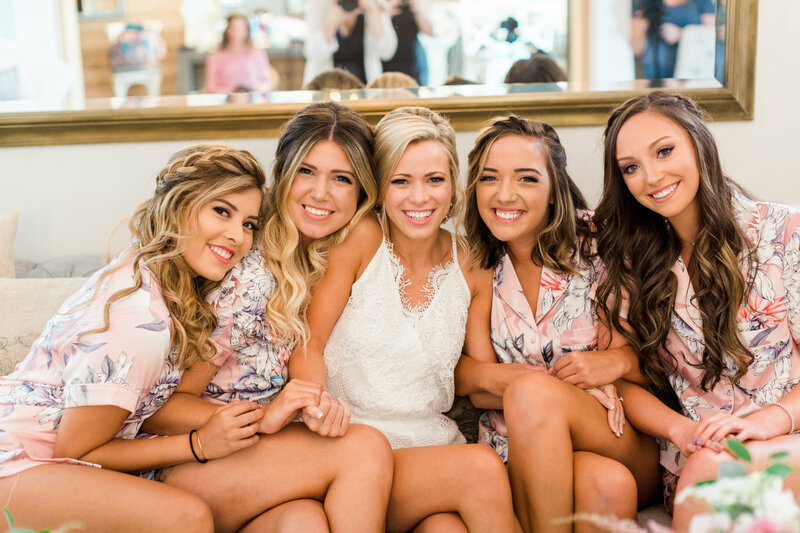 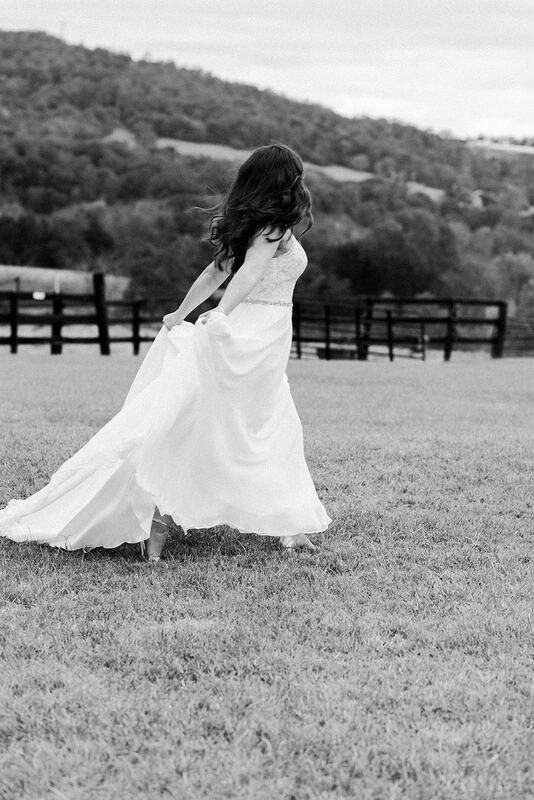 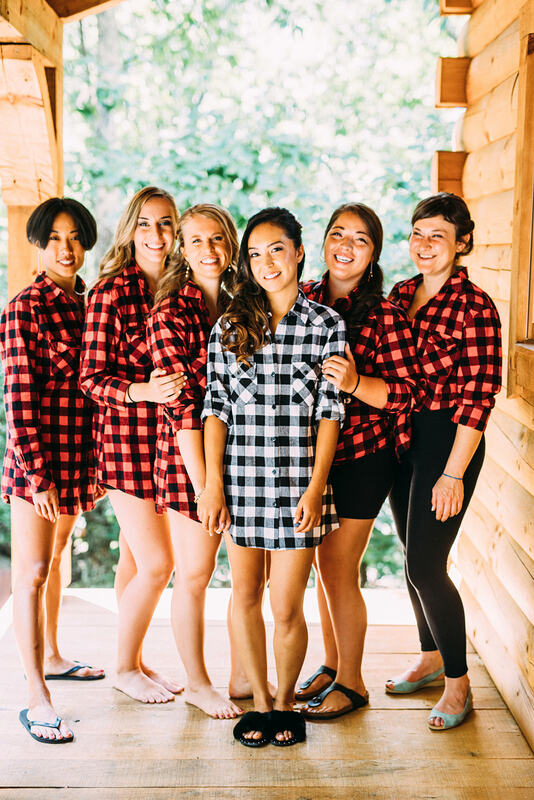 We absolutely loved getting to work with Alexandra during her Early Mountain Vineyards wedding, and we hope you enjoy some of our favorites moments from this lovely couple’s big day thanks to Aaron Watson Photography. 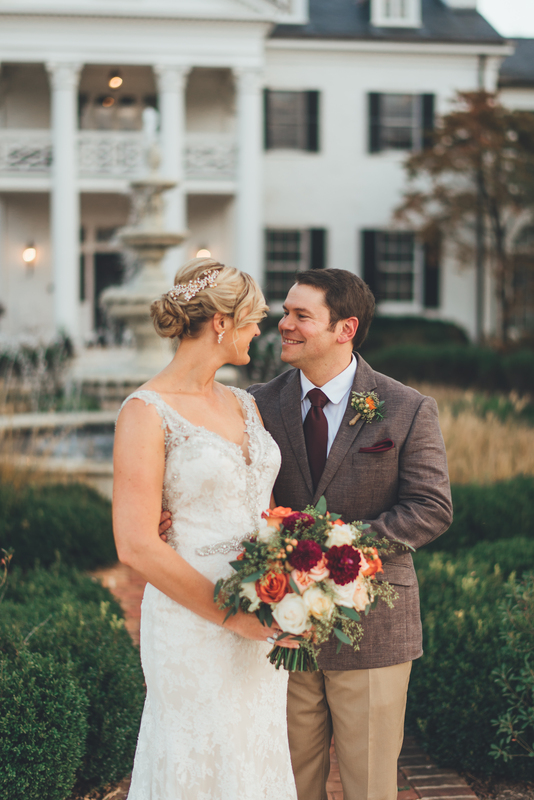 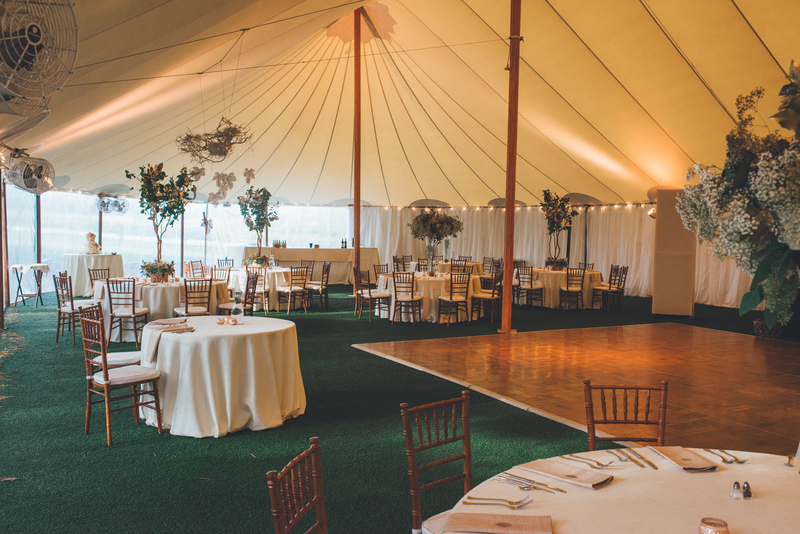 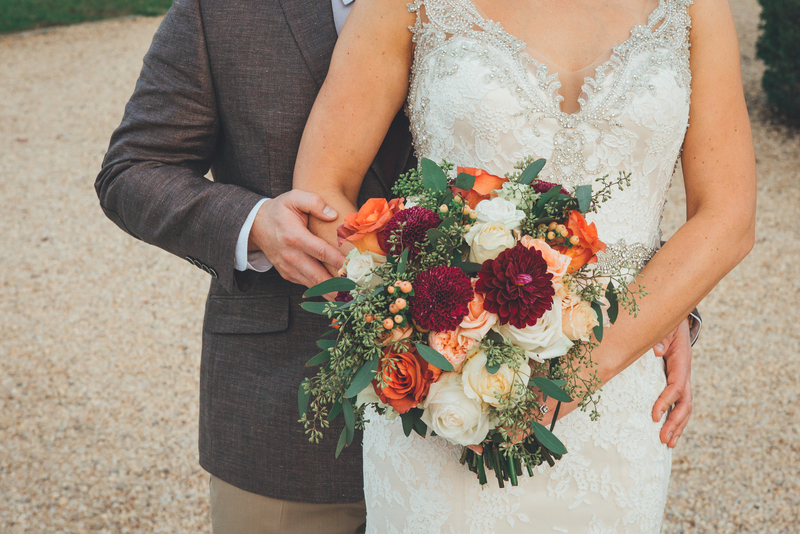 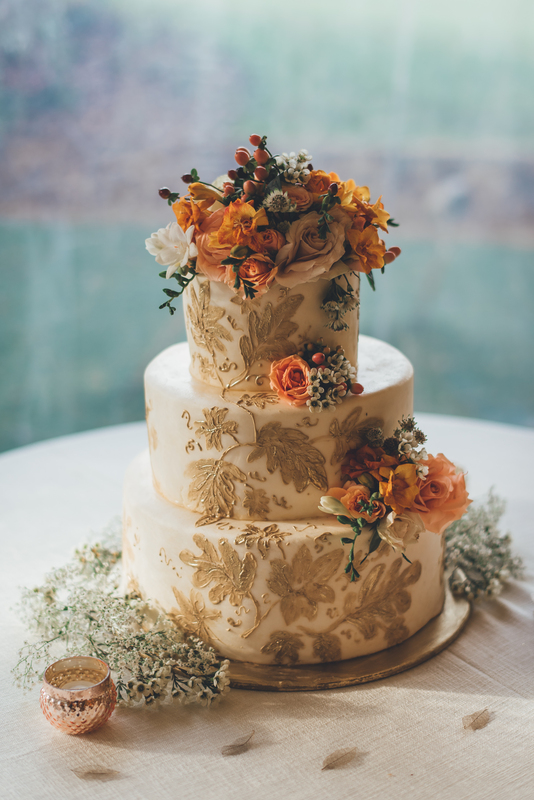 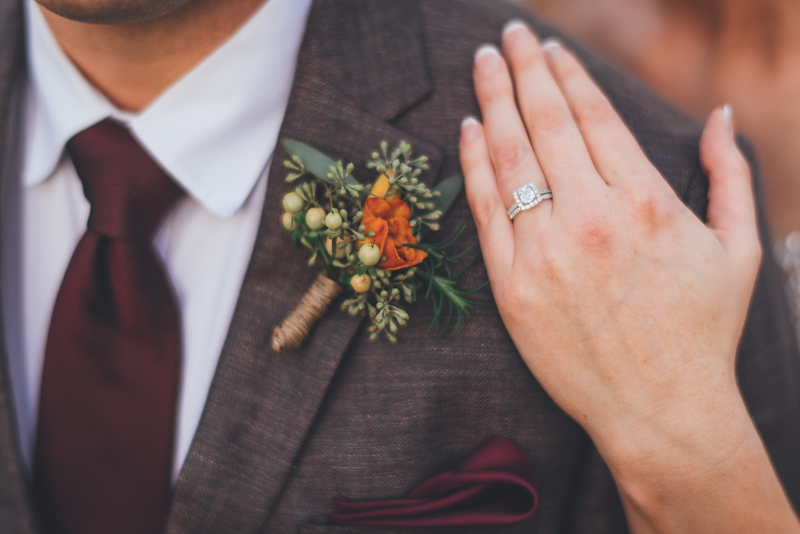 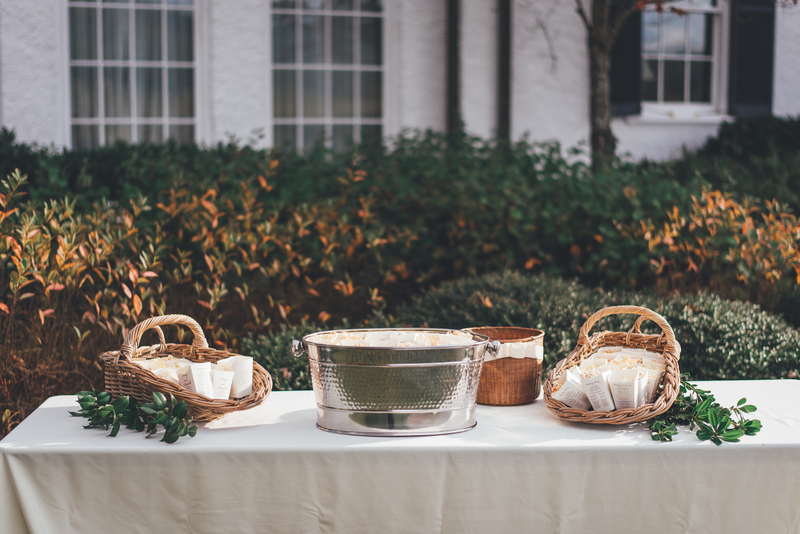 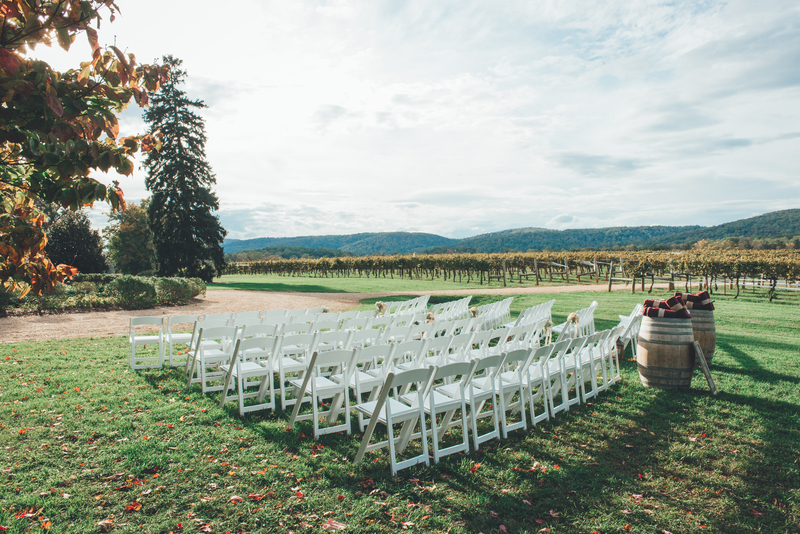 Nothing says autumn quite like warm hues, blankets, and al fresco weddings. 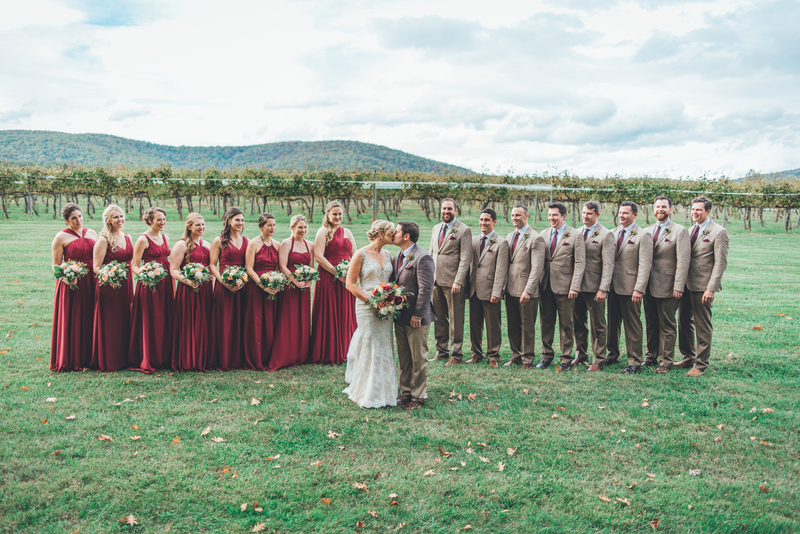 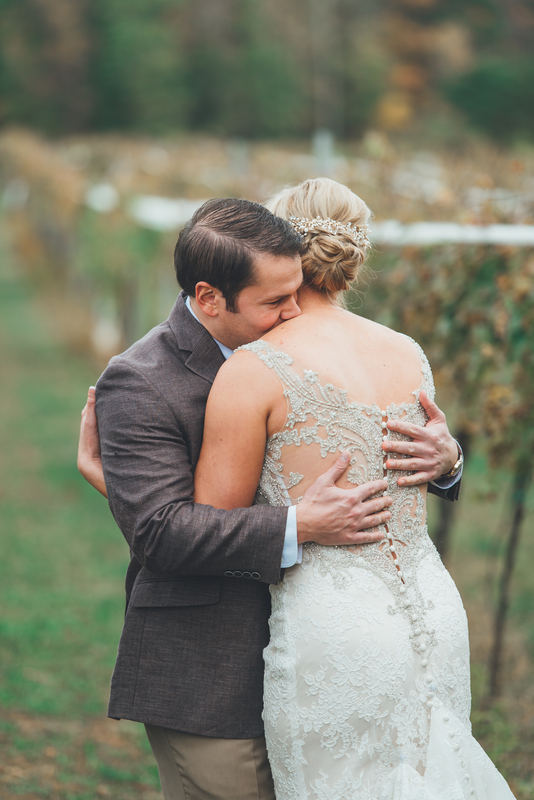 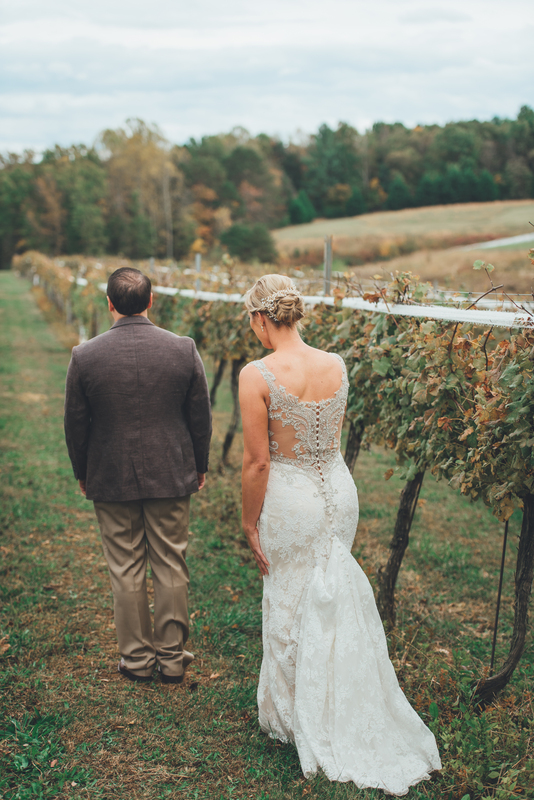 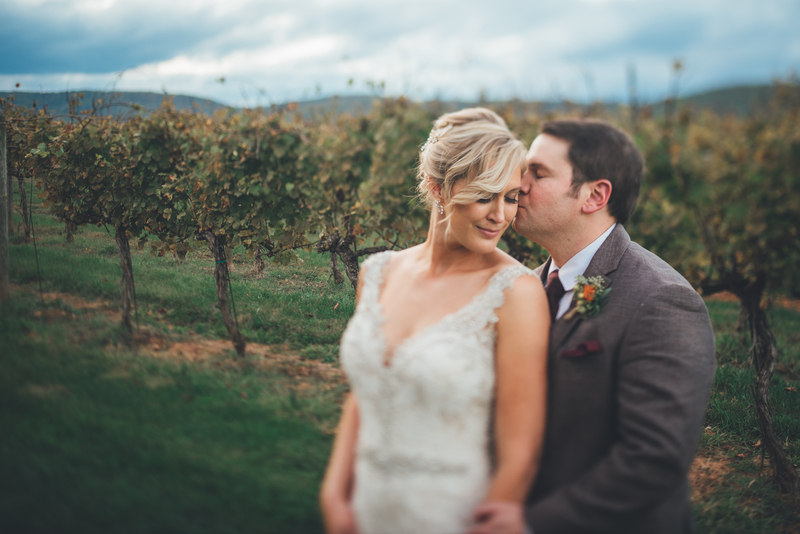 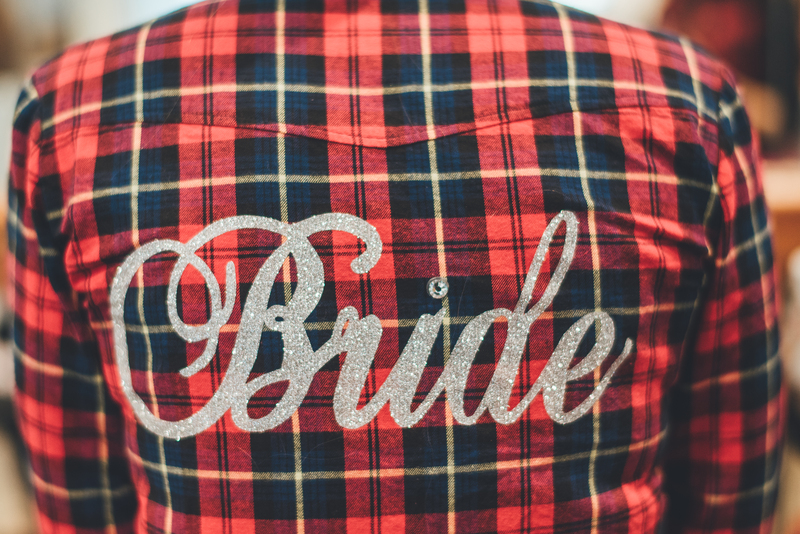 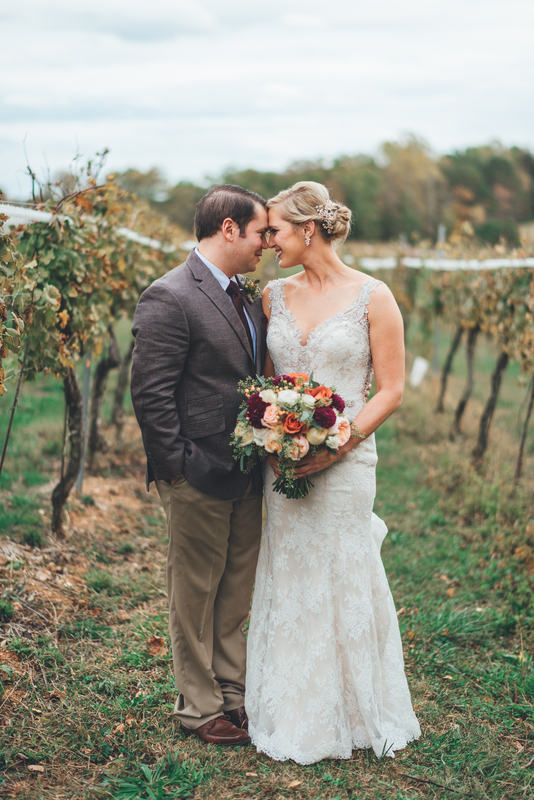 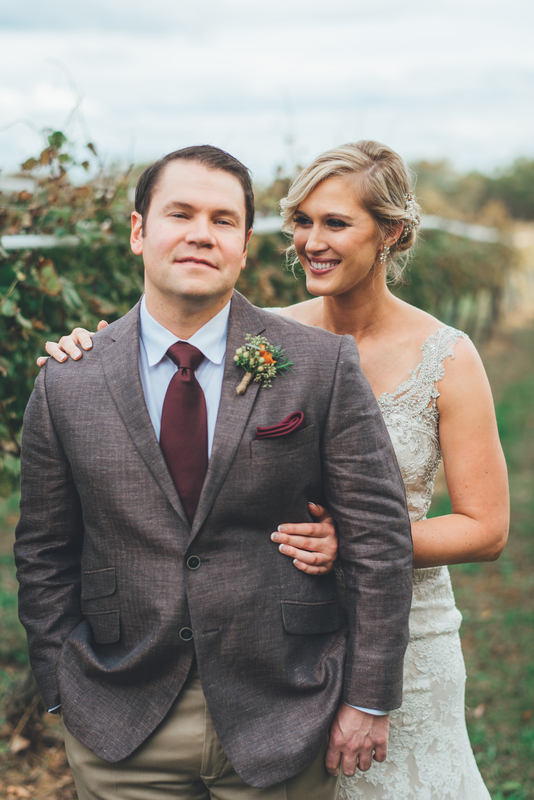 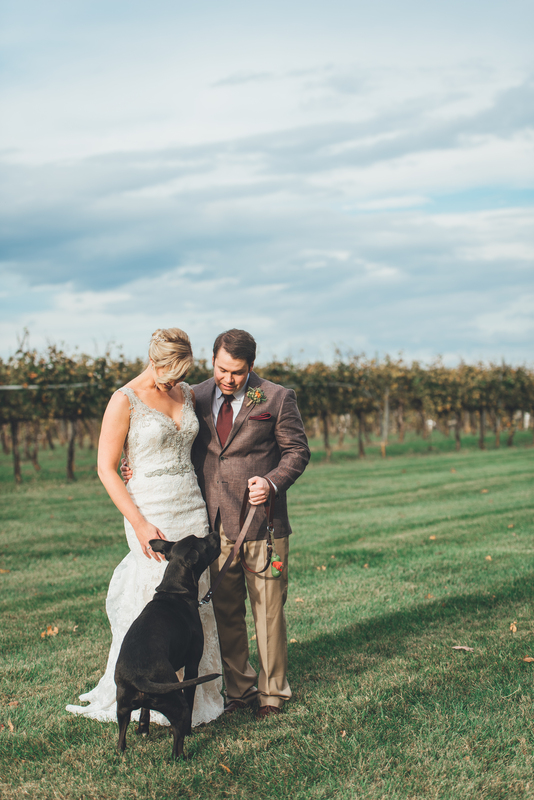 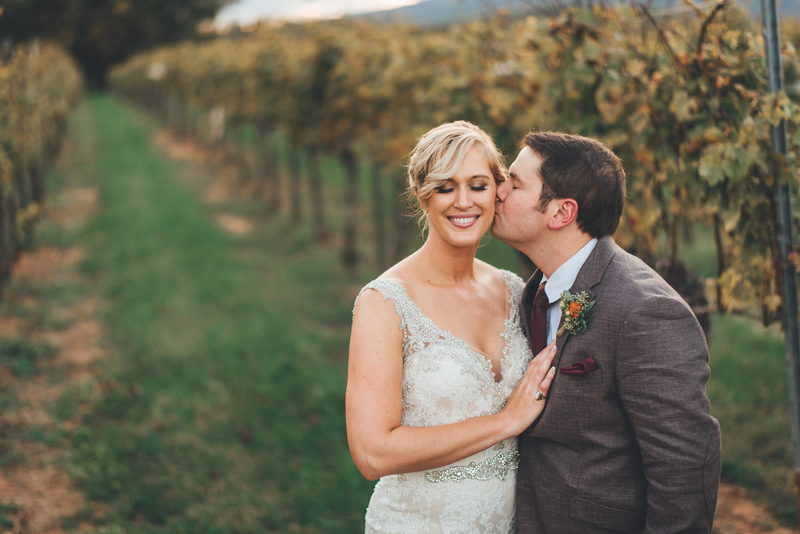 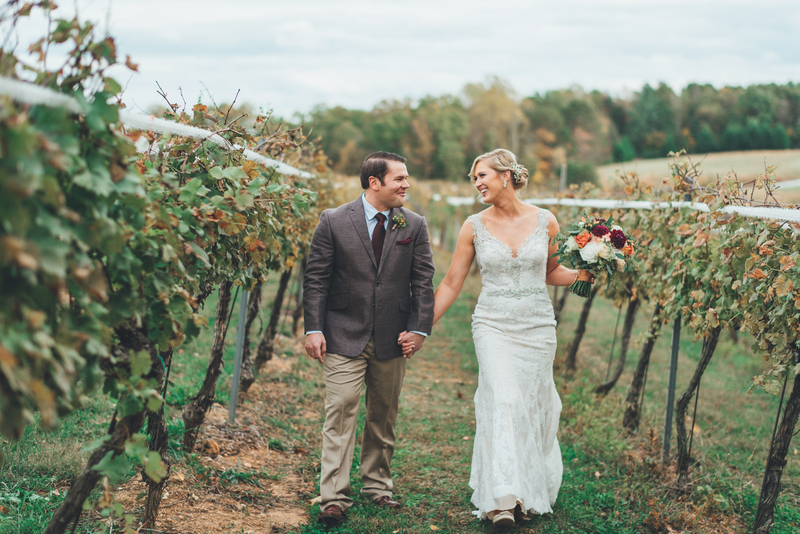 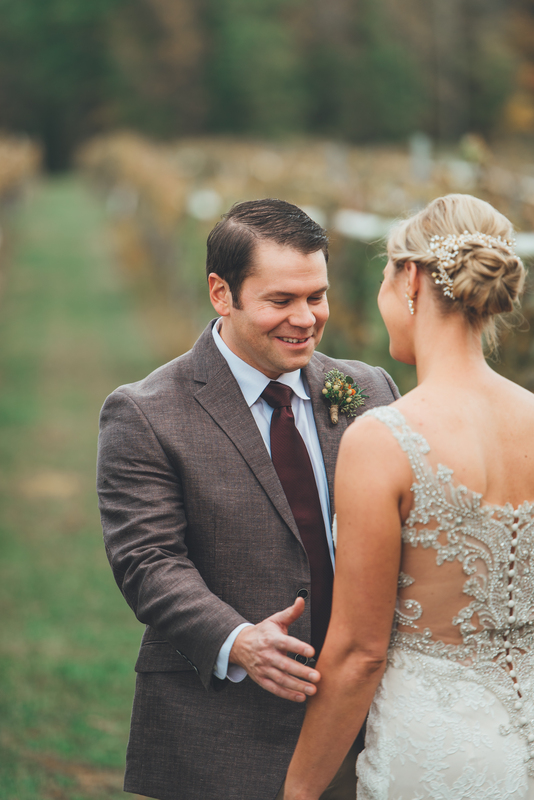 Of course, that means we’re totally in love with Michelle + Andy’s autumn Keswick Vineyards wedding. 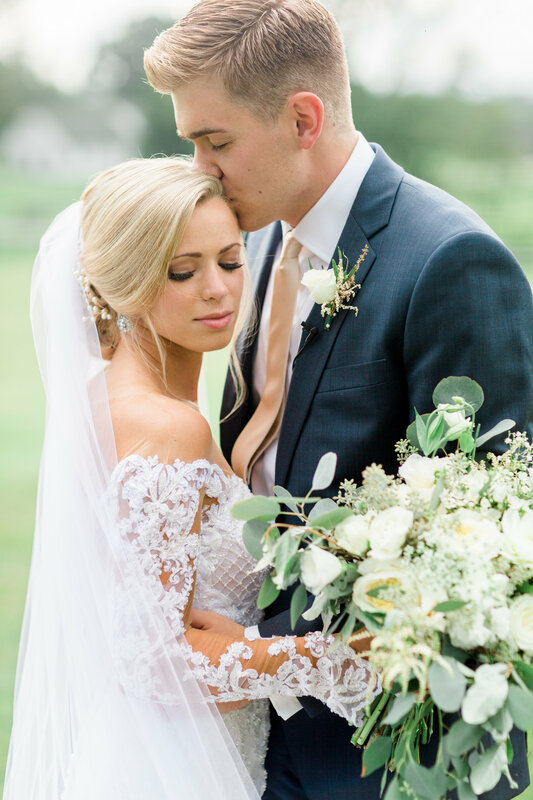 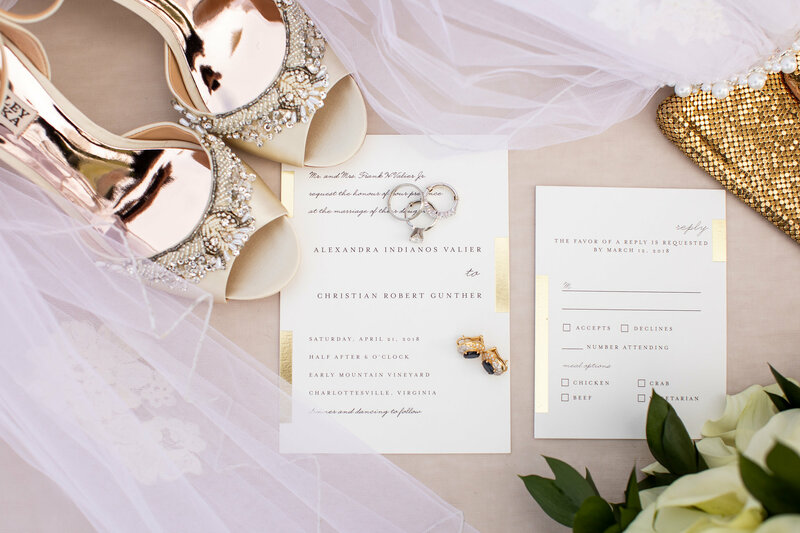 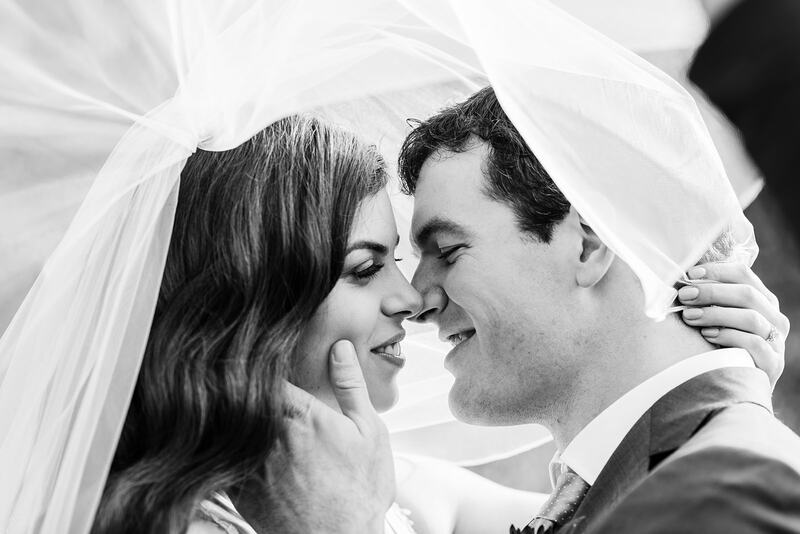 This pair was the epitome of romance during their big day. 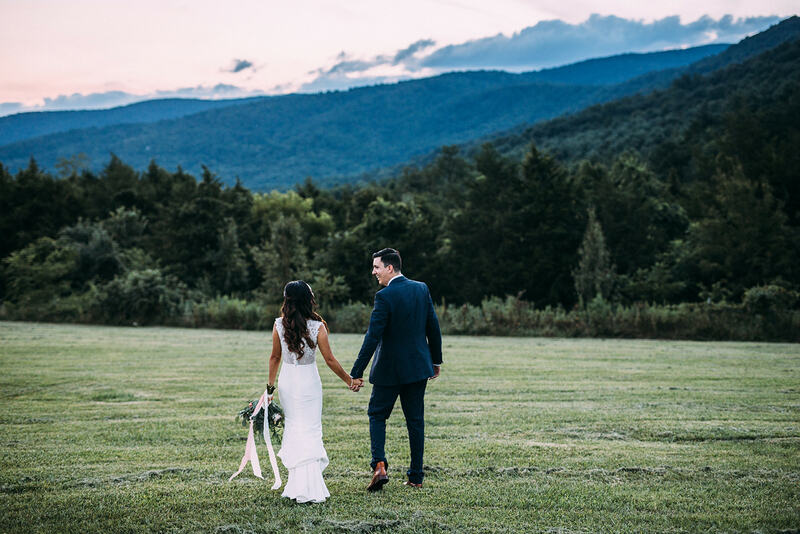 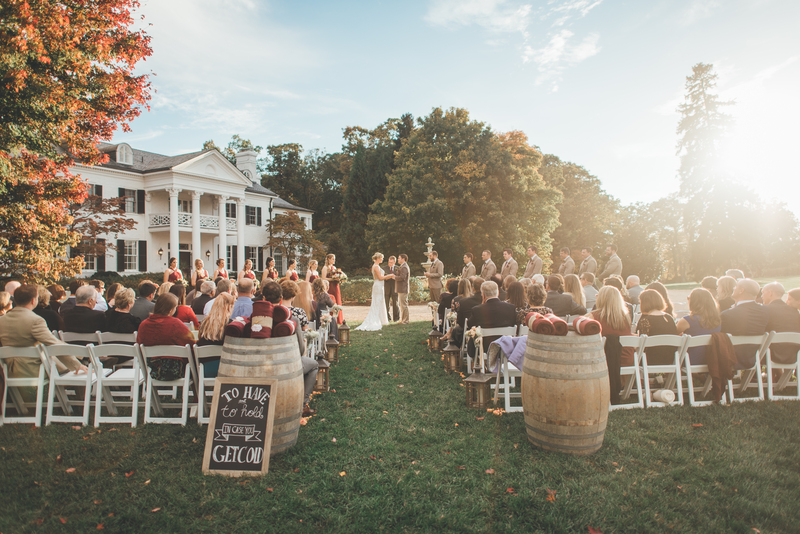 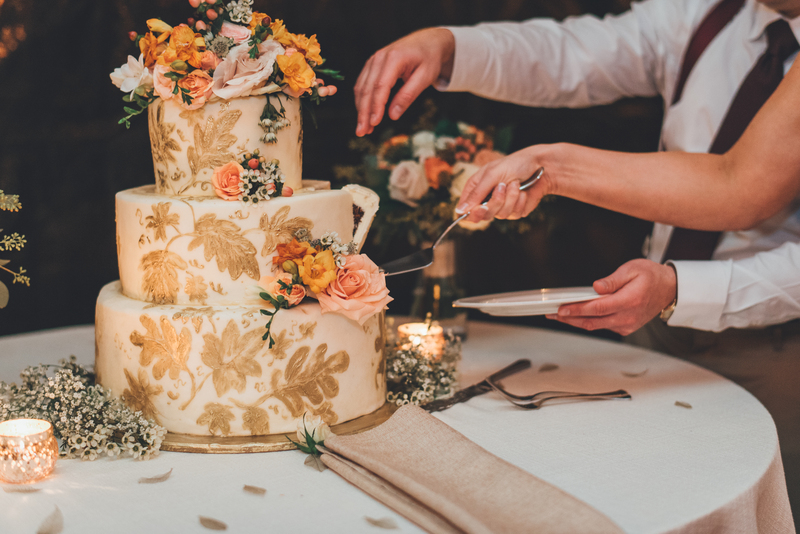 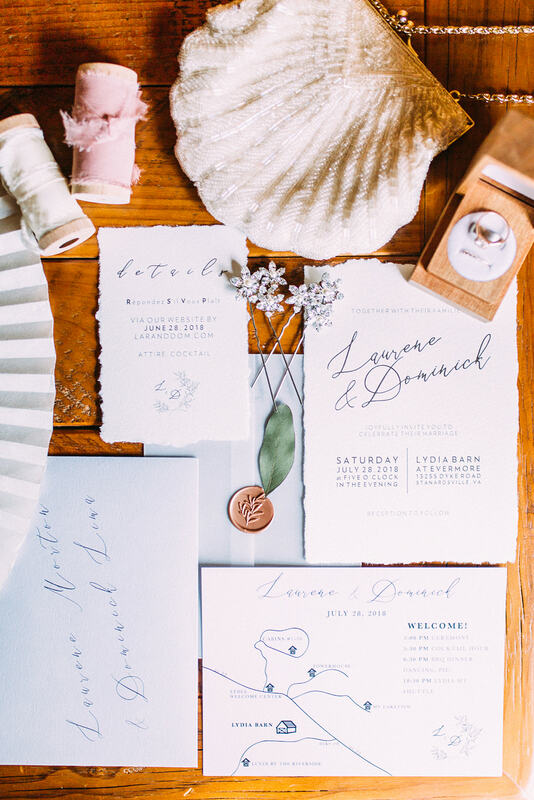 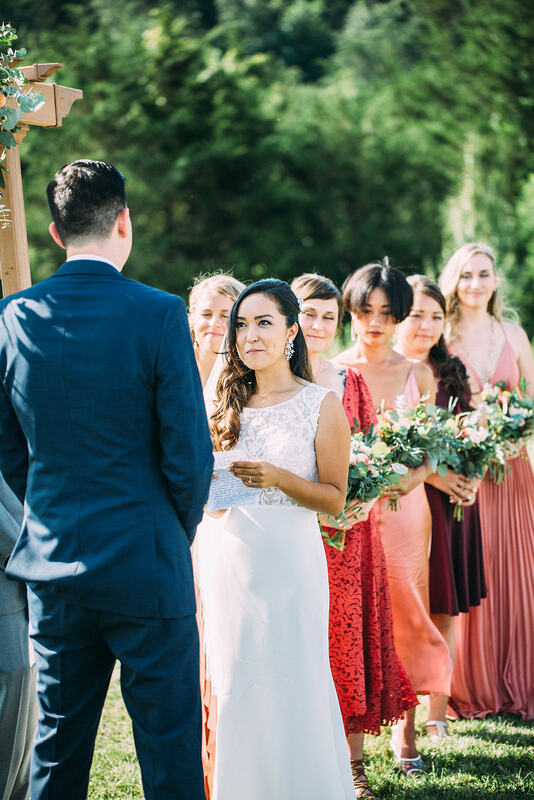 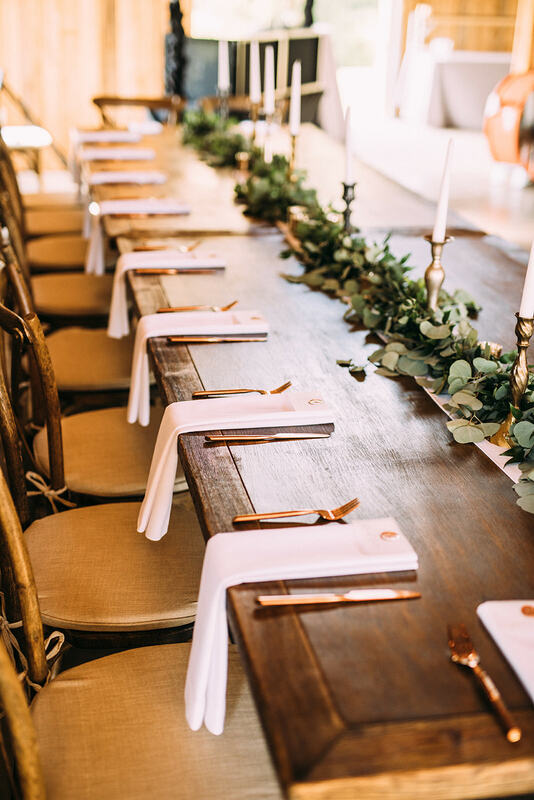 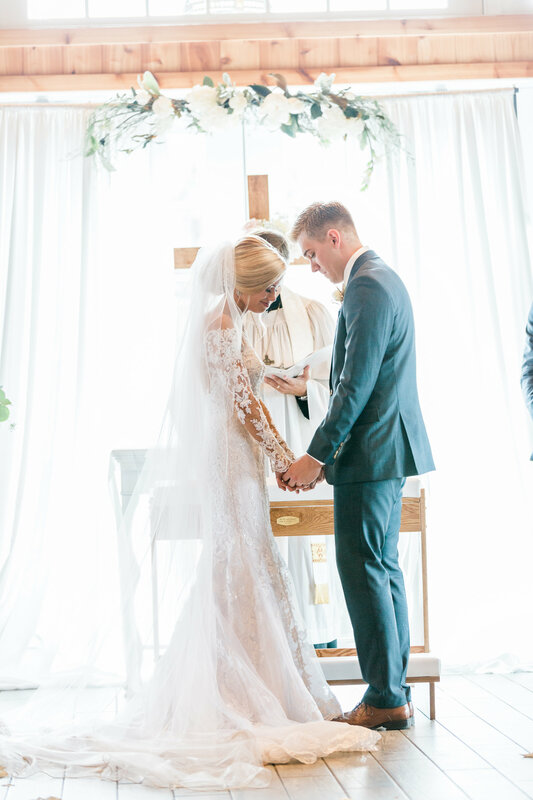 From a sweet and intimate first look to an absolutely breathtaking sunset ceremony, if you’re looking for fall wedding inspiration, this is it. 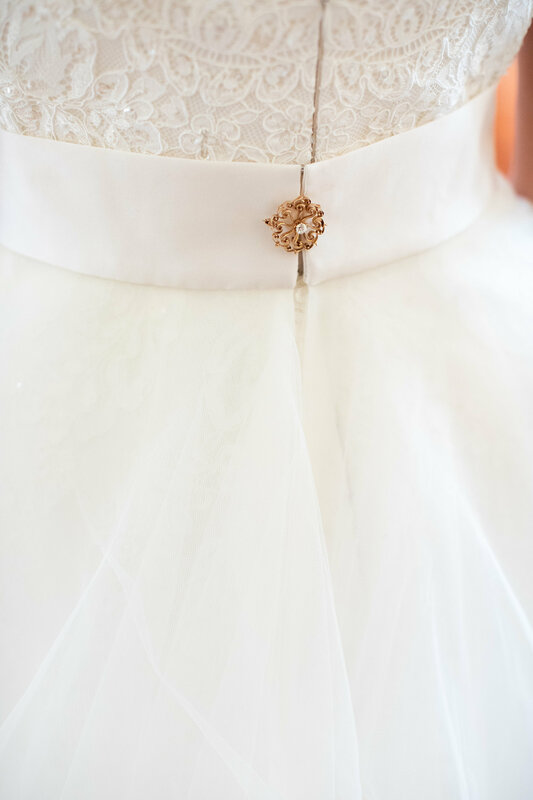 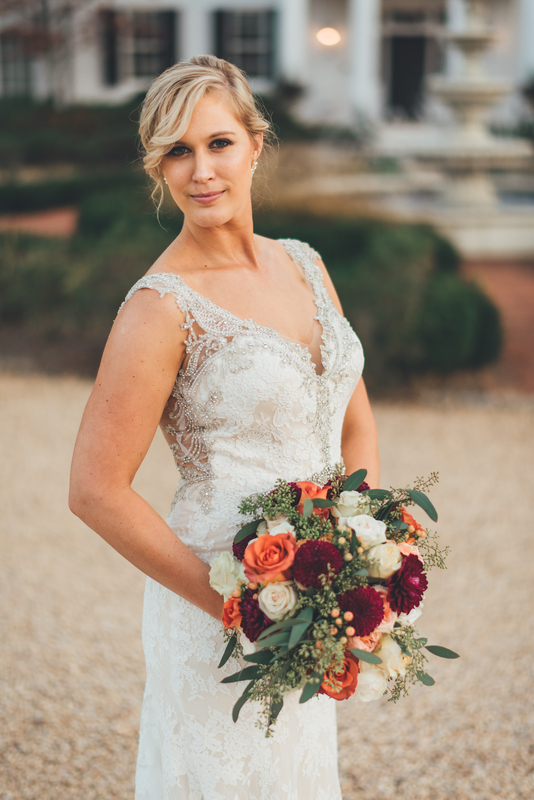 We can’t wait to show you how we captured all the romance of autumn for Michelle’s wedding day look. 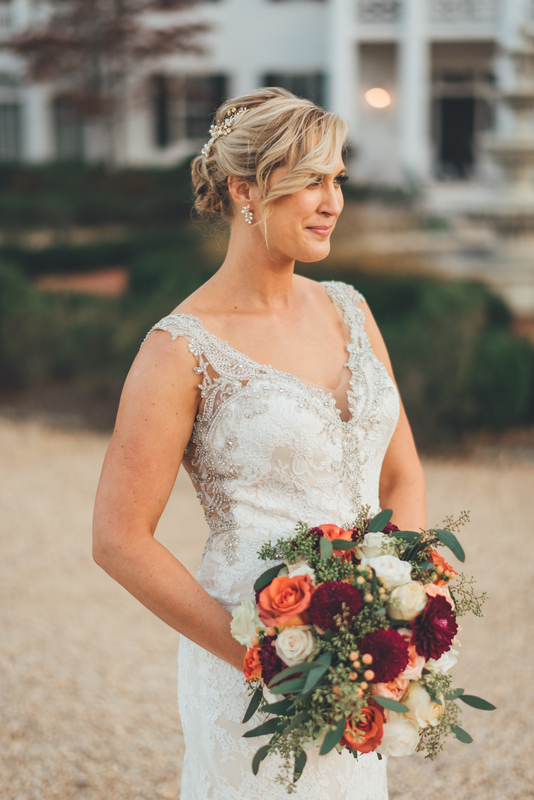 We wanted to make sure that Michelle’s stunning beauty was the very first thing the guests saw. 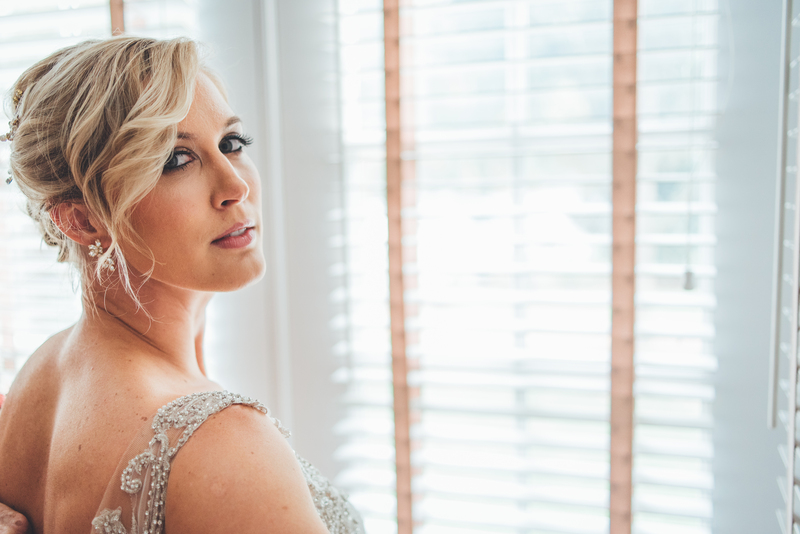 To do so, we pulled her beautiful blonde hair back into a low, curled up-do. 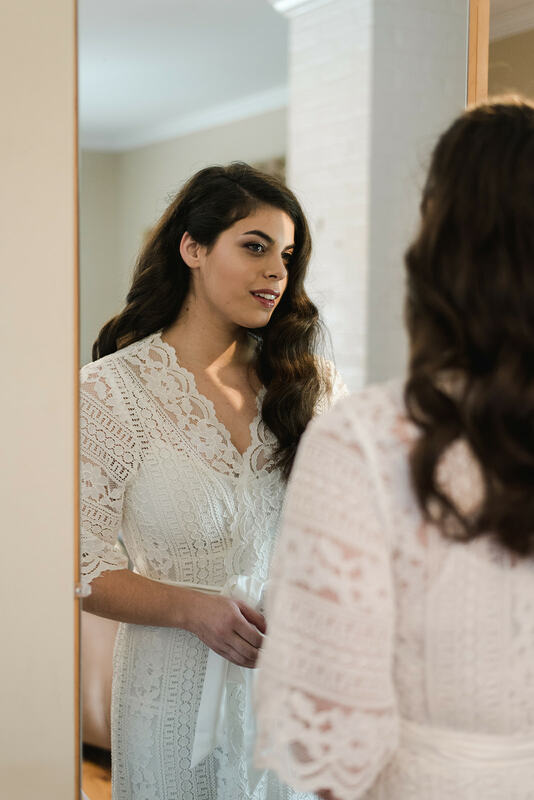 To keep things, soft, however, we made sure that soft curls framed her face. 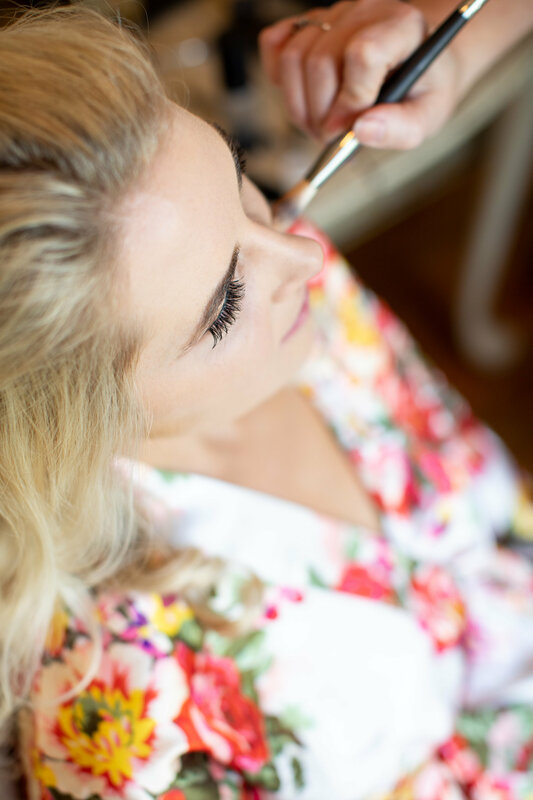 As for her makeup, we kept things glamorous with black liner to define Michelle’s eyes and a focus on lashes to keep things romantic. 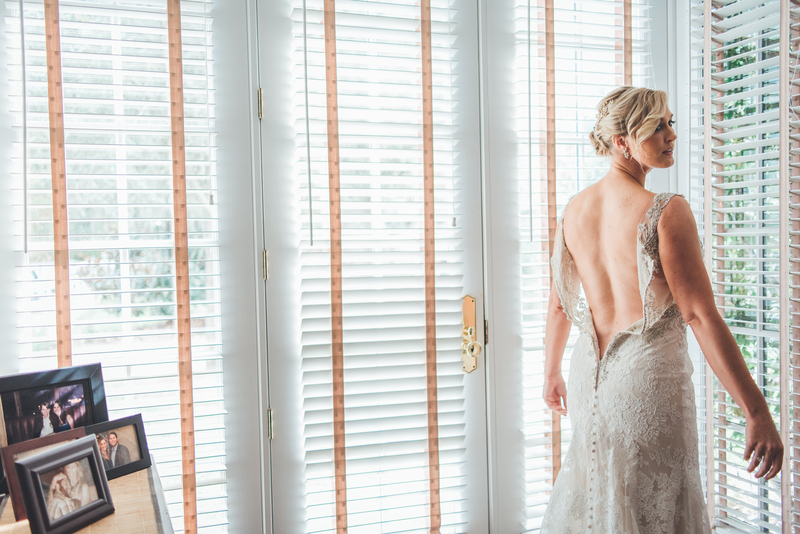 We were in love with the final look. 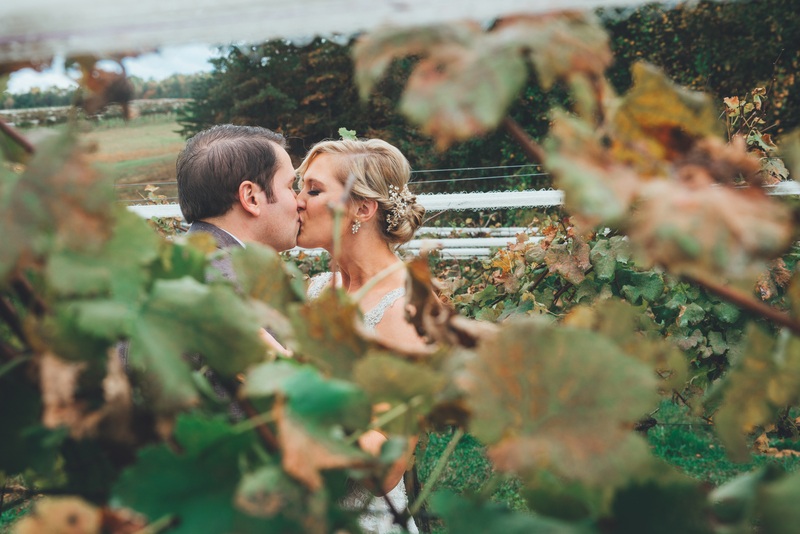 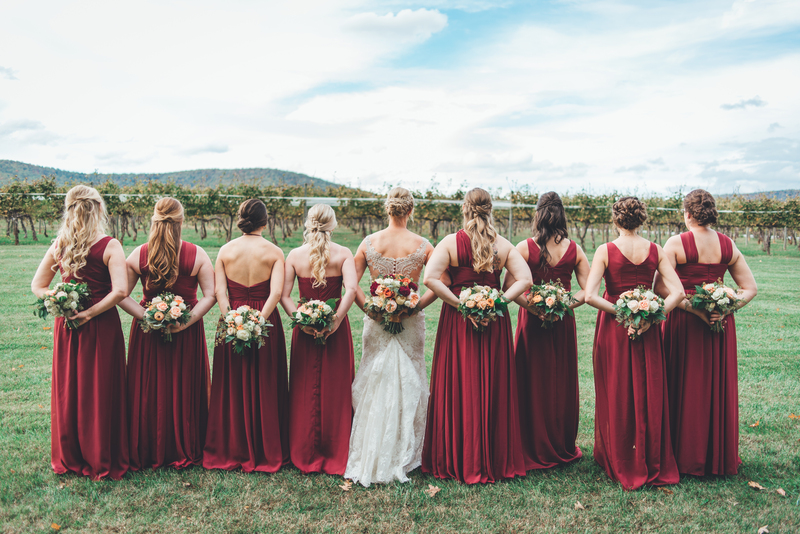 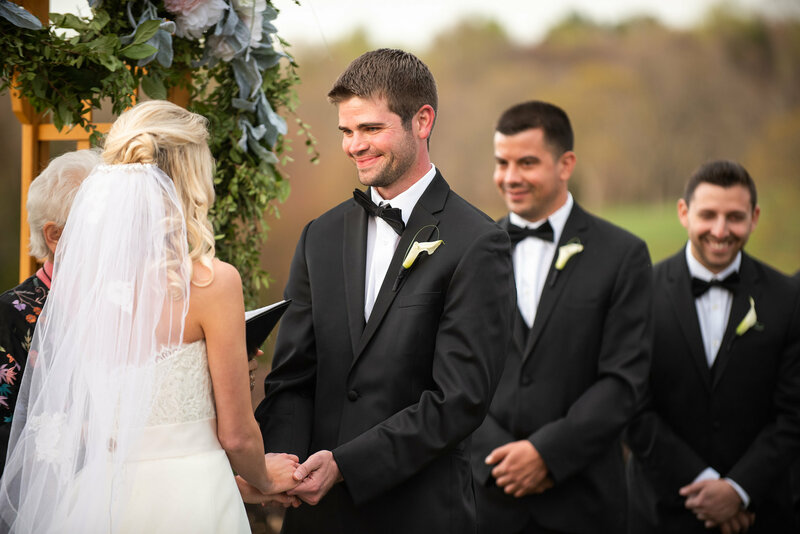 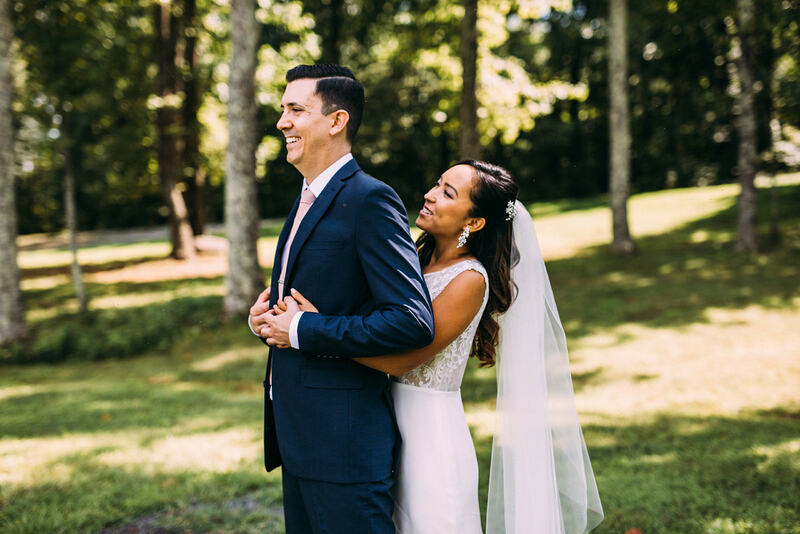 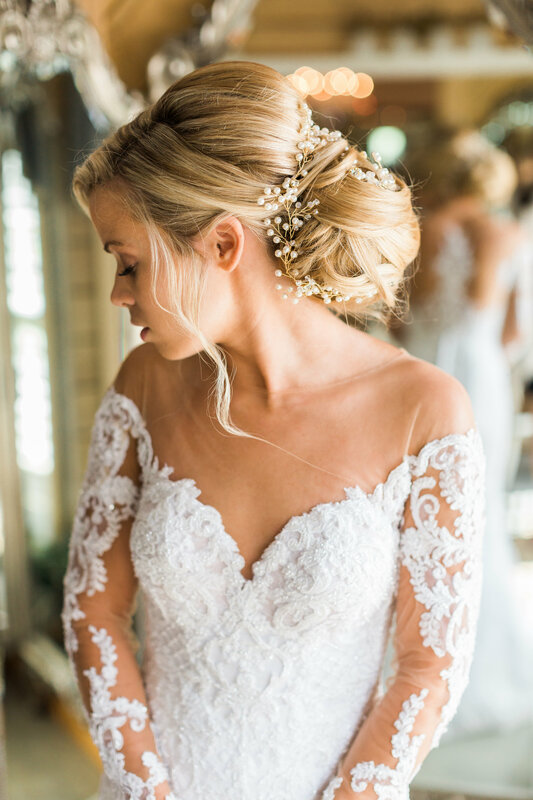 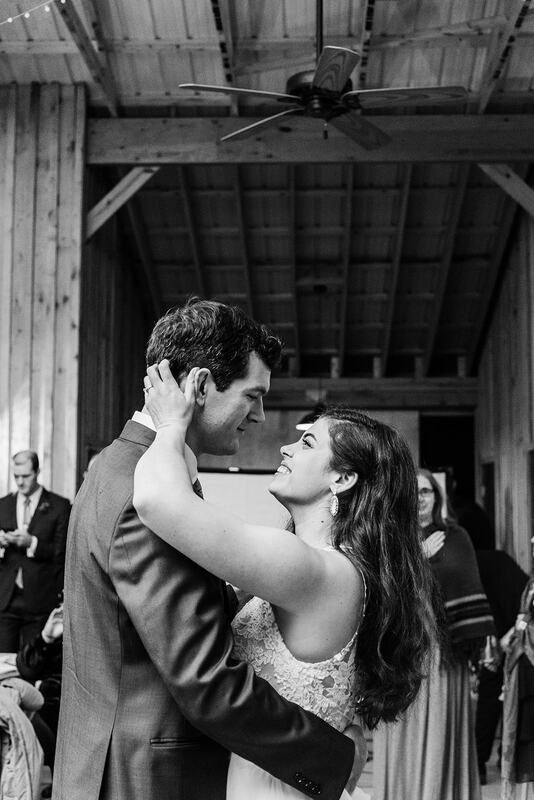 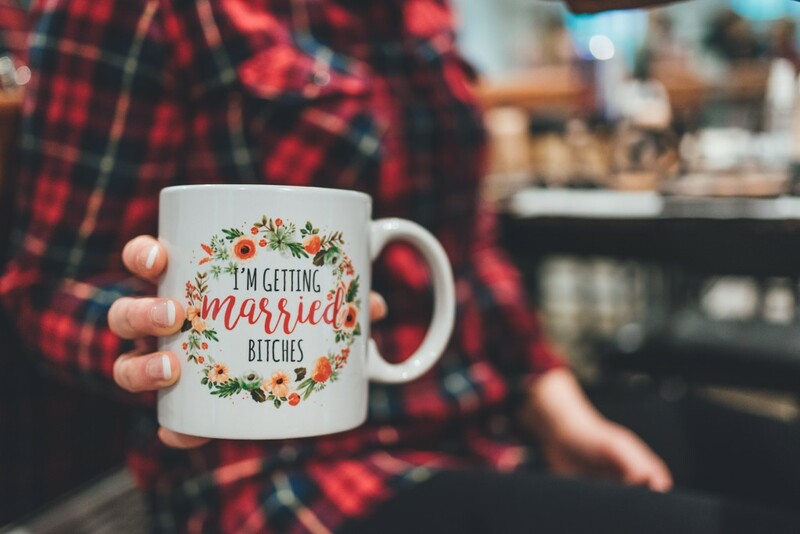 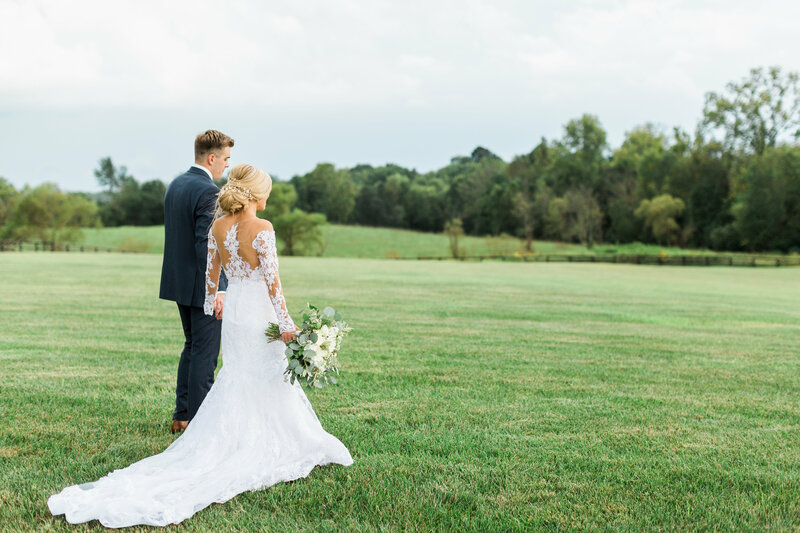 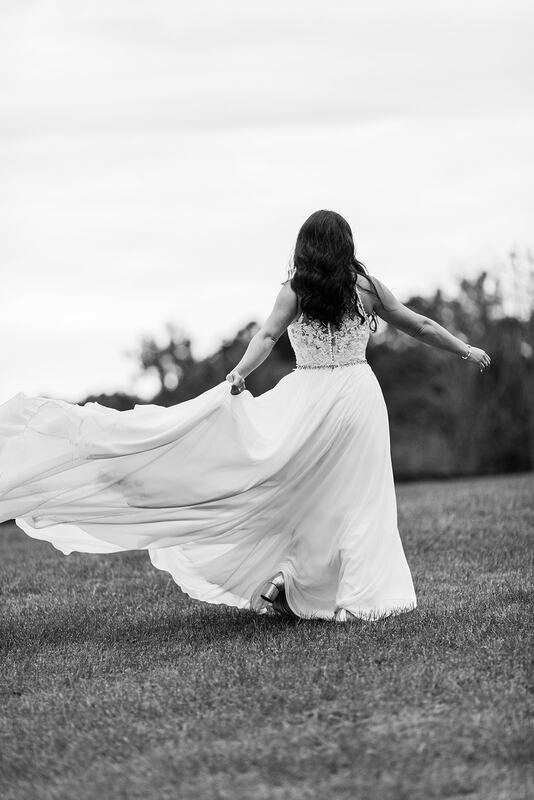 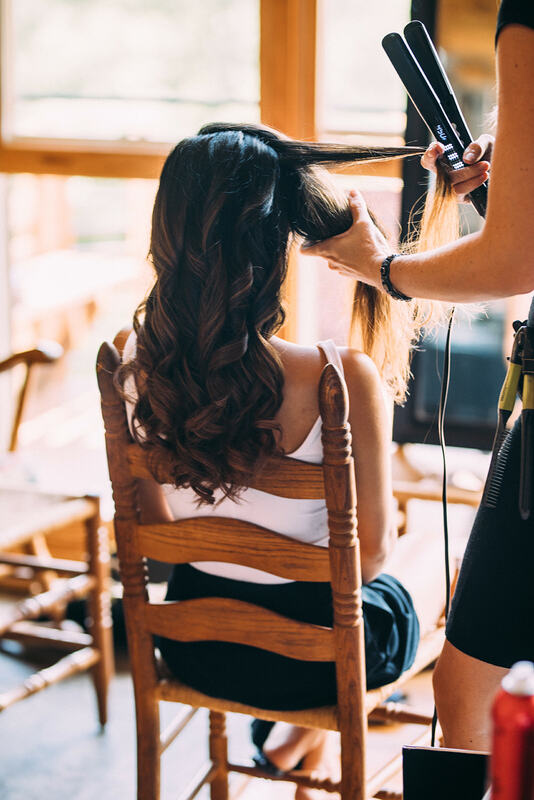 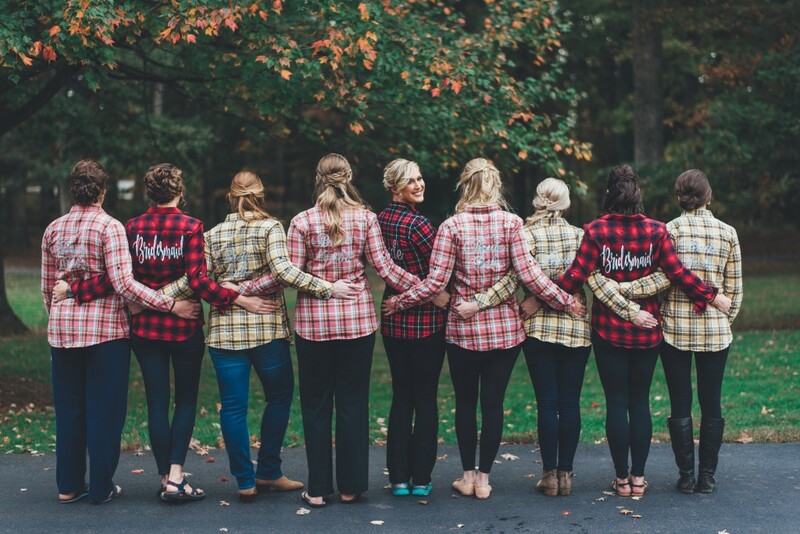 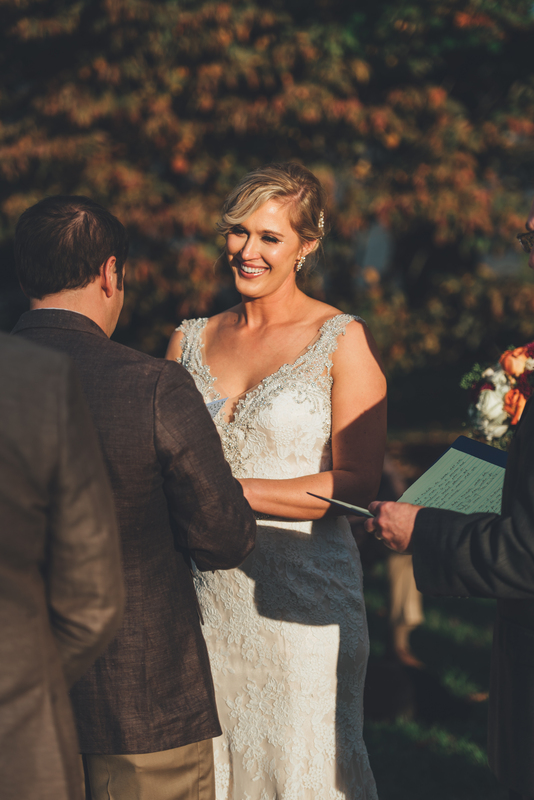 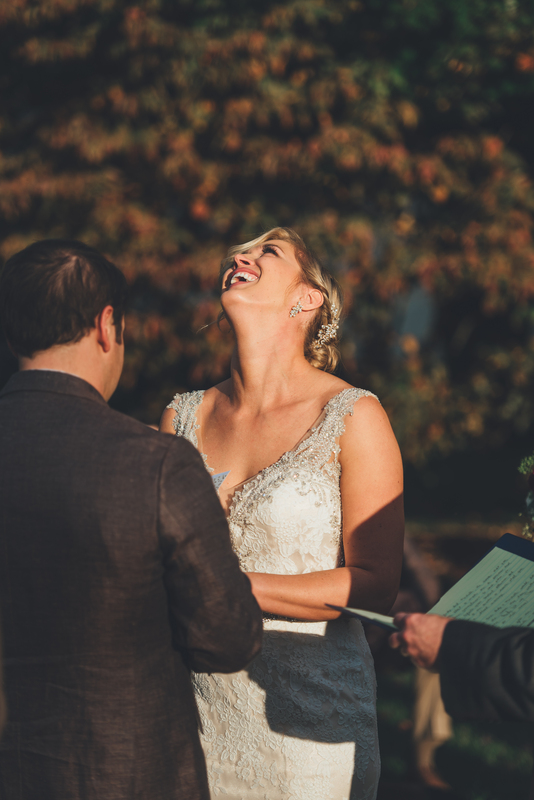 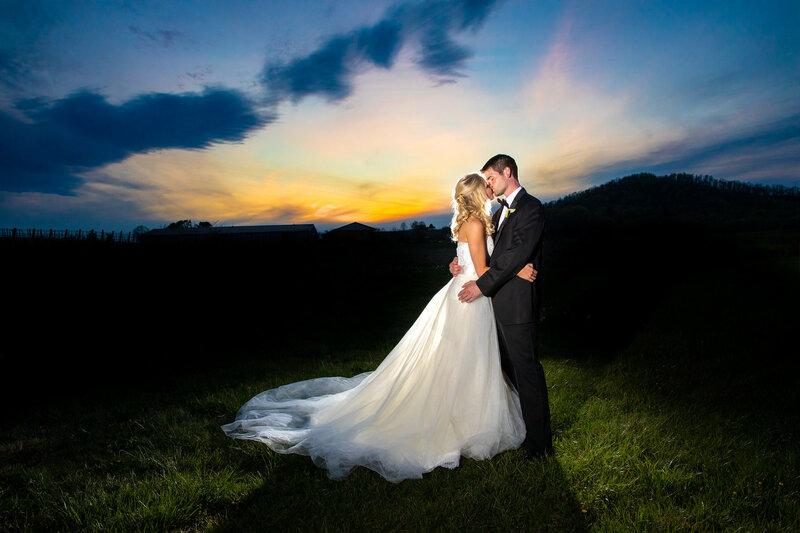 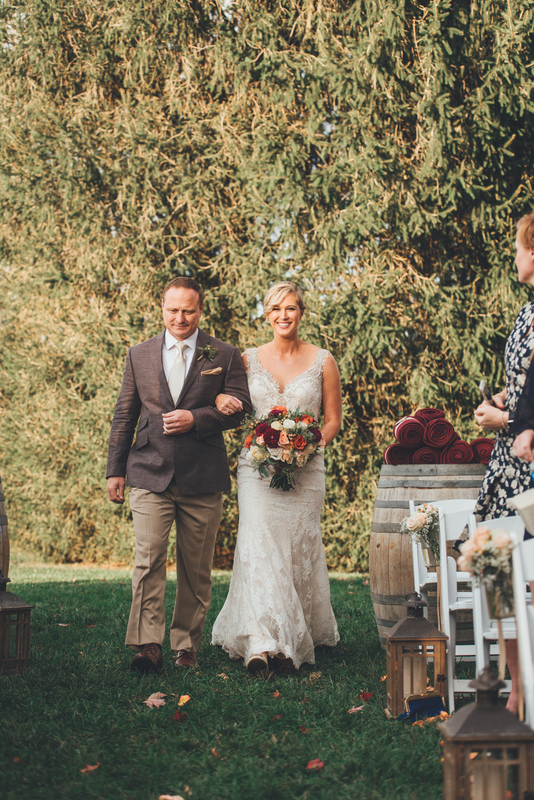 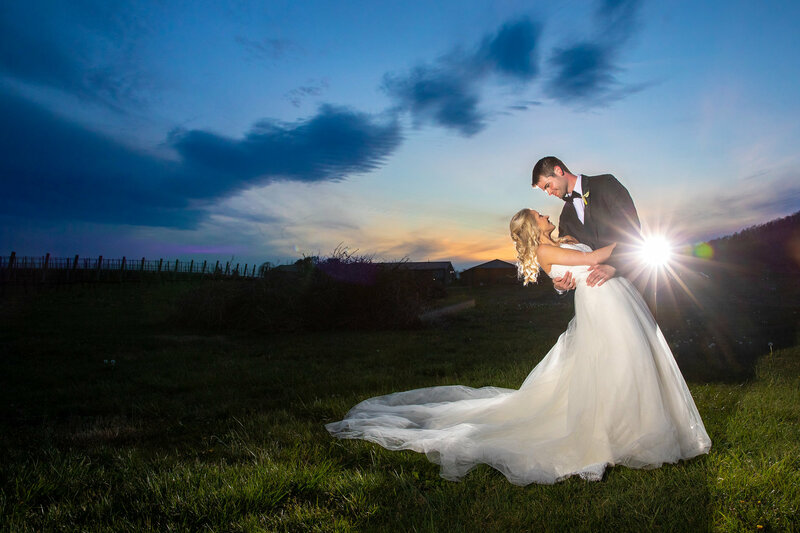 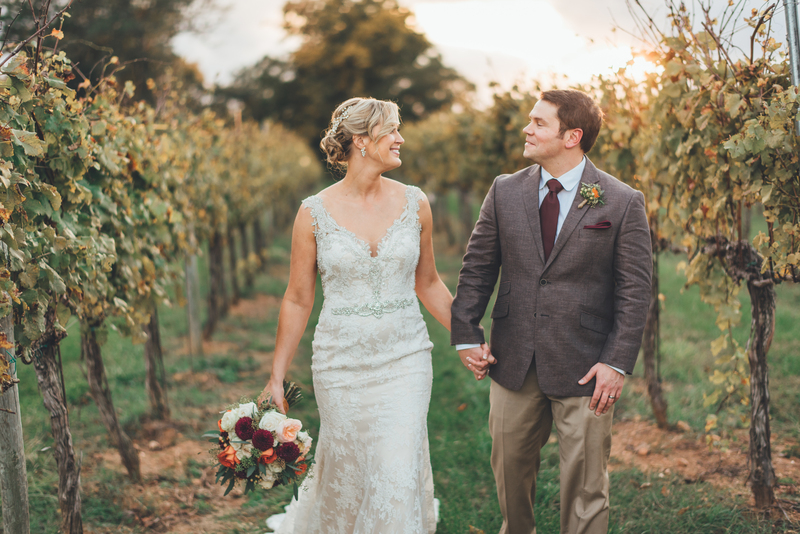 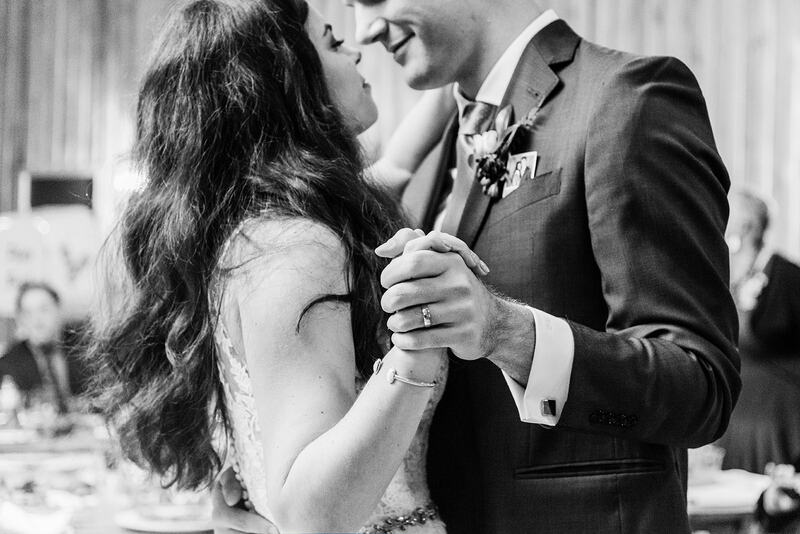 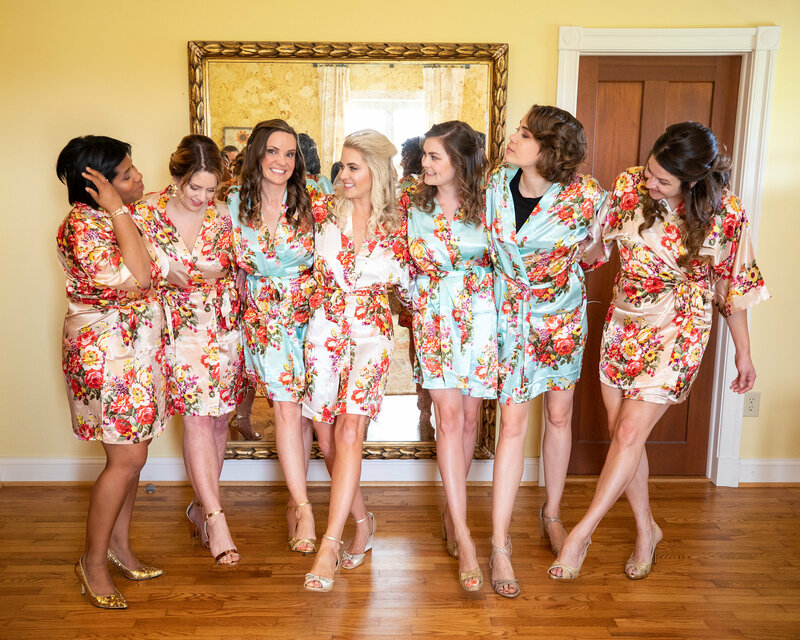 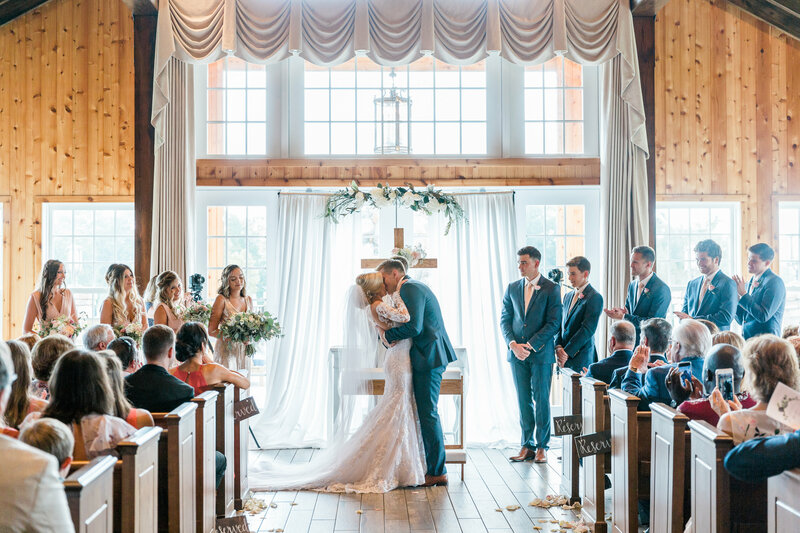 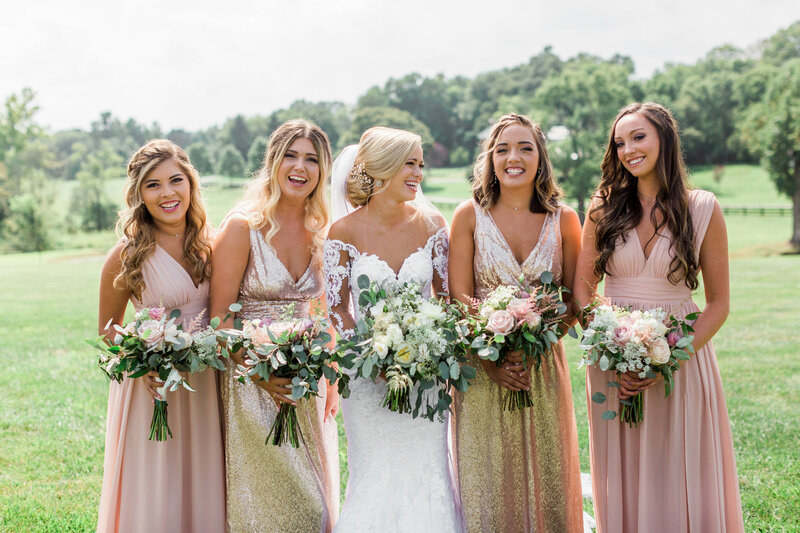 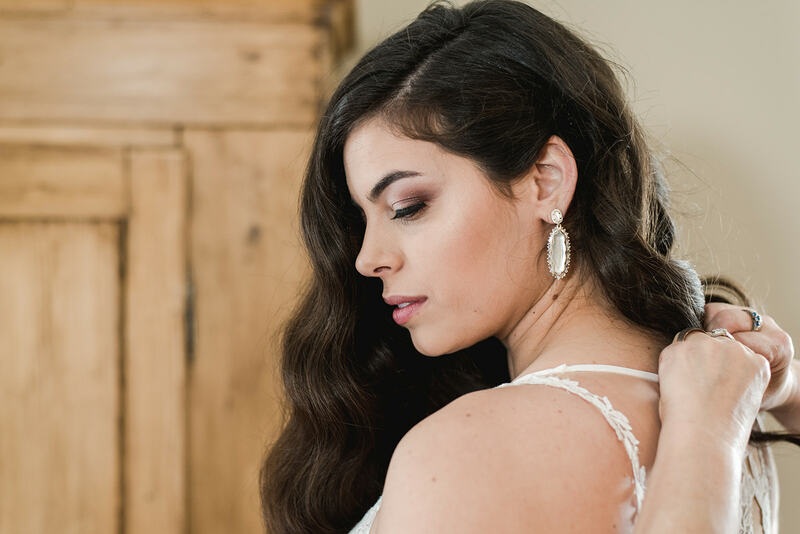 If you want to see Michelle gorgeous wedding hair and makeup, check out some of our favorites moments from she and Andy’s perfect Keswick Vineyards wedding day.